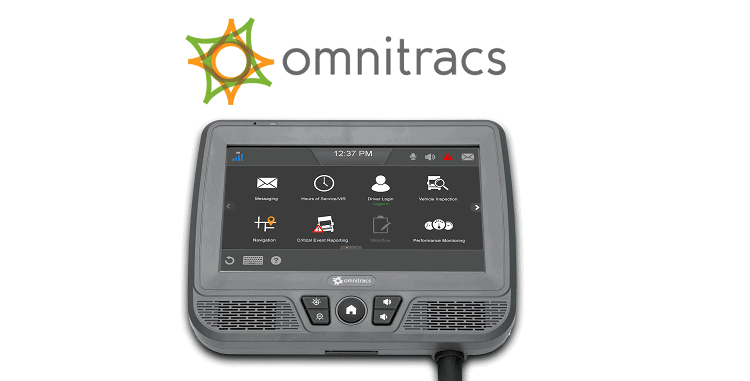 Omnitracs ELD Device (review) provides solutions for SaaS fleet management. The company was founded in 1988 and had a remarkable heritage: it was established by the massive telecommunications company Qualcomm and has seen robust growth over the decades since then. Today, it provides services for more than 12,000 fleet customers and well over one million global assets across several countries. Omnitracs is one of the world best provider of telematics which can support all sizes of vehicle fleets. It has robust software tools for simple, intuitive use with a modern interface. 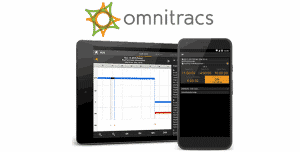 Omnitracs offers its business customers with excellent telematics solutions. Its customizable software is impressive, and you can start building a dashboard that best fits your business. Many other vital features make it ideal for several companies. Which are The Core Features of Omnitracs RDC? Omnitracs Routing, Dispatching, and Compliance is a big load of a service that provides the core features necessary to run a fleet. For a fleet manager, only one mobile device per driver generates all data into a single backend dashboard. You can also check our post for best eld devices for owner operators here. More fully cutting edge featured is the selection of features available in the package. And, in a compact interface, it’s a no-frills FMS, and Omnitracs provides more than enough additional features to add to the service. This Omnitracs ELD Device review will show you below the advantages and disadvantages. Trucks in any business service industry, from plumbing to food service, can significantly benefit. From route optimization software, planning the most time-efficient route can satisfy most customers. With the dynamic, tactical routing management software (RDC), managers can quickly and easily design the courses of the day. The trip management software RDC allows managers to view their fleet in real time, helping them make updates and course-correct for sudden changes throughout the day as well as planning the routes. This helpful location tracking not only helps managers: it also enables drivers to see all the destinations through an app of their choice on their mobile device. Drivers can, however, record customer information as well as signatures for proof of delivery, and other workflow activities and messaging operators. Recording service hours (HOS) is crucial for any modern FMS, given the decree of the U.S. government that all commercial truck drivers in the country must track their hours of service through an electronic logging device. 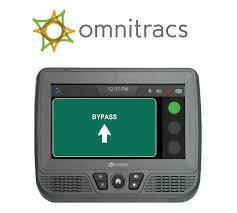 Omnitracs RDC is ELD-compliant. DVIRs can also be recorded through RDC, and drivers can easily access them through their smartphone or tablet at any time, making sure drivers can pass a roadside safety inspection easily. Lastly, keeping tabs on the IFTA fuel tax is also an RDC cinch that logs traveled distances as well as receipts of fuel, sorting everything by jurisdiction. 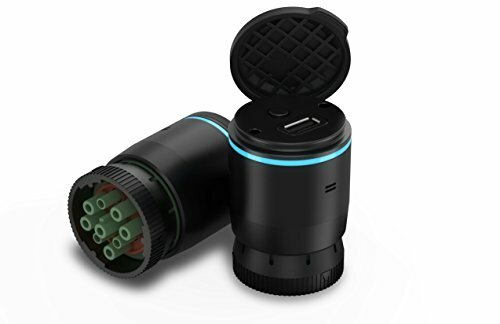 This mobile management platform requires each vehicle to have a palm-sized plug-and-play device. Then the XRS app will allow drivers to communicate and fleet operators remain aware of the movement of their fleet. Auto-recorded data includes HOS, IFTA, and DVIR, complying with all industry requirements for XRS users. Advanced features range from fuel monitoring to wheel pressure alerts, but a fleet-specific package through Omnitracs will need to be purchased. Compliance is the focus of the Intelligent Vehicle Gateway (IVG) platform. This required device should be wired into a vehicle. That means that it can log data from the engine that would otherwise have been virtually impossible to record automatically. These pieces of information could also be used to act under all regulations of the industry: ELD-recorded IFTA fuel management, HOS and DVIRs. The device enables drivers to quickly and easily track their compliance and location on the go through its real-time navigation display. Each driver can log-in, set "active" status, and get fully prepared for the work of a day. The Intelligent Vehicle Getaway might have been a new product, but it creates state-of-the-art fleet management technology and compliance with FMCSA. As such, this Intelligent Vehicle Getaway will definitely be superior in every way compared to a range of many other brands on the market. Omnitracs offers you full access to a myriad of useful features through the integrated application delivery ELD and fleet management system. The device offers, for example, unique wireless connectivity, hands-free voice commands, and a relatively larger display. Omnitracs will also provide you with all the back-office necessary tools you need to significantly increase your fleet's efficiency, productivity, and safety. Basically, the IVG is intended to provide truck drivers and fleet managers with a unified platform to help deliver safe, efficient and fast mobile apps. In this respect, the IVG connect truck assets to home office and drivers; enabling you to gain access to a range of ELD cool features and also some of the industry's best third-party apps today. With the truck's ignition off, gently remove and push back truck diagnostic connector; then check the connector to make sure that it has no debris and no bent pins are present. Connect the power I/O cable mating connector to the diagnostic connector of the truck and verify that the outer ring twists and clicks in place so that the ends are not mistakenly disconnected. Place the unused power I/O cable end in the dash panel where the diagnostic connector of the truck located. Route the power cable to the location of the IVG display. Remove the Torx 10 screws from the back of the IVG display panel and connect the power cable to the IVG display. Make sure the cable latches are solid with the connector's ridge side facing outward. Continues to provide a robust single-platform application platform, so no upgrades will be needed as time goes by. Just like with any other company these days, in the trucking business, you need a competitive advantage and an efficient and effective way to contain costs. As you must have already discovered, it could be a challenge to run a profitable and compliant trucking business. You will undoubtedly have a faster and more relaxed time to grow and run your trucking business with this product installed in your trucks. It is usually a good idea to go for an electronic logging device that appears to offer the best value for money, whether you are a driver or a fleet manager. You do need to regularly check what your preferred product can do to ascertain this. Some of the critical aspects which help make the IVG realistic solution for businesses are custom development, superior integration, evaluation, programming, predictive modeling, and business intelligence. With this feature, it will be easier for drivers in your fleet to complete a full vehicle inspection reports accurately. Also, the ELD allows at any given time both the fleet manager and the drivers to gain access to the stored VIR reports. You will also receive timely notifications with this product on any DVIRs which may have unresolved defects in your fleet for any vehicle. Such a key feature will streamline your fleet's process of defect resolution; thus enhancing fleet compliance and safety. Inaccurate HOS logs in your fleet will continue to expose the business to a variety of risks, including breach of compliance, higher operating costs, reduced operating productivity, and efficiency. You will never experience such problems in your business with the omnitracs IVG installed in your vehicles. Many trucking companies have already faced difficulties in getting ready their vehicles for preventive maintenance. Roadside assistance can also conclusively prove to be an expensive undertaking for your business. The IVG continues to offer a fault monitoring feature with real-time alerts detailed diagnostic information to help fleet managers reduce maintenance costs in their fleets. The in-cab navigation system of Omnitracs is famous for its unique customizable maps. You would also appreciate the fact that a user-friendly user interface is available in the application. In this regard, the IVG provides both spoken and visual directions of the way. You will then be able to receive real-time speed alerts with this device installed in your truck. This application will also provide you with high - speed apps regular updates to make sure it is highly responsive and always up-to-date. The IVG features an application for critical event reporting programmed to alert you of your drivers unsafe driving habits. The app will track and inform you of major critical events such as hard braking, turns, and acceleration by any of your fleet's drivers. With this application, you can quickly identify the dangerous habit of your vehicle drivers and take the appropriate action. And this, in turn, will help improve your business ' safety and efficiency. The application makes you much more favorable for insurance providers by continuing to improve the CSA score. As such, insurance companies will be able to give you more affordable insurance premiums. The Drivewyze ® PreClear weigh station bypass system offered by omnitracs IVG appears to support more than 700 sites in the U.S. and Canada, as such, your truck would have the chance to bypass more weighing stations than they would with any other weight bypass solution on the market. The Omnitracs ELD provider's media manager is a creative and innovative measure to help fleet managers provide their drivers remotely with relevant information such as video, audio, and PDF files. You'll find this to be one of your fleet's cost-effective ways of communicating with drivers. You will also love its truck Tracking software in addition to the other attractive features of the Omnitracs IVG solution discussed above. While the GPS unique feature will always tell you where the vehicle is, there are many different sensors in the product as well. These sensors help you to know if or when the trailer doors are opened or closed, and also allow you to know at any time about the absence or presence of cargo in the vehicle. You can significantly improve customer satisfaction in your business if you have this software at your disposal. The Driver workflow is designed for integration with dispatch systems on the IVG platform. This full integration enables a driver-dispatcher communication system to be automated and streamlined. With the help of this application, any driver in your fleet can now be sent the right data in real time. Such a practical solution has been shown to strengthen driver-dispatcher relationship as well as fleet efficiency. The company requires at least five vehicles for services, which is not an issue for large businesses but actually prevents many small businesses from using the service. For a consultation, fill the form below to get in touch with us to help you find the right ELD devices that fit your needs. The Omnitracs software allows you to manage fuel consumption, driver safety, and route optimization. Its key features, mainly equivalent to regulatory standards, are topped off with robust customer support and super high usability of software. The company offers easy set-up and no installation fees for their plug-and-play devices. It customer support avenues includes support via live chat, telephone, and email. The length and cost of the contract will probably vary depending on the needs of your business and what plan you are signing up for. This Omnitracs ELD Device review is important to show you its features, but the final decision it is always yours. You can either sign up for a 12- to 36-month contract or sign-up for a monthly subscription. You can ask the company if a trial period or money-back guarantee is offered. The company requires its customers to have at least five vehicles to meet the criteria for service, which is one of the considerably higher minimums we've come across. The Omnitracs software solution has a refresh time of six seconds, one of the quickest software we've been reviewing. It can also support all your requirements for compliance, including DVIR, HoS, IFTA, and ELDs. 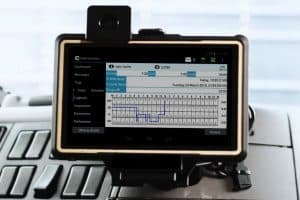 Having the cheap eld devices installed in your truck will just not help ensure that you continue to remain FMCSA compliant; it will also end up giving you access to a variety of unique features to keep track of your Hours of service (HOS) and improve your CSA score. Are there any free eld devices available on the market? Some EDL providers require upfront payment and monthly subscriptions, some require leasing, installation fees, access fees, and system time charges. Many offer free eld devices but come with monthly subscriptions, while others provide one-time payment with no additional cost. Although there are many ELD devices available in the market today, it may be challenging to choose the right e-log for an owner operator. So, while shopping for the right one, you also need to take into consideration aspects such as cost, features, type of ELD and approval of FMCSA. There are many reasons why you need to be careful choosing electronic logging devices based on price; some brands are cheap due to the lack of great features and the quality of the device. Considering the features and customer support they provide, the main difference between a cheap ELD and a costly one can be night and day. The cash you actually think that you’re “saving” by getting the cheap eld devices could cost you in the long run in lost time trying to fix it. This may mean that during the repair timeframe, truckers will be stuck using paper logs until they’ll get it fixed or get a replacement device. And then they will lose more time by uploading the paper log info into the device afterwards…that´s only if the device even allows for that option. If you can´t input the info afterwards, then you are out of luck. Just think about how painless your daily life would be if you spend your money in an ELD that doesn’t break every other week. ELD service providers seem to have no hardware malfunction control since a third party provides the hardware. And this means that an ELD’s simple fix can aggravate the communication feedback loops. If you browse cheap eld devices from companies that are just started in the United States Transport industry space, you should be very careful. Because of the FMCSA ELD popular mandate, some other companies have appeared out of nowhere in the past few years, trying to offer a multitude of identical ELDs, just at low selling prices. All of these are companies that only want to make a quick profit knowing fully well that truckers/drivers seem to have no choice but to follow the legal mandate of the ELD as a reality. If you eventually find any ELD service provider and free eld devices is the only product they provide, try to avoid them and never look back. Consider choosing companies with tested and proven industry track records and provide other services such as fleet management, order management, etc. Because many companies offering cheap electronic logging devices prices may be working to make a quick buck, they will also not invest the money made from selling their cheap eld devices into their e-logs solution. In the first place, they seem to have enough money to do that, but weeks, months or years down the line updates and support may be non existent. Their e-logs apps may also lack any new features that the FMCSA mandate specifically require. The features of geofencing, driver scorecards, automated IFTA reporting may never be experienced … The list goes on. So, while all your competitors continue to enjoy the fantastic features of their e-logs solutions and other benefits they eventually bring to their fleets, you will be trapped with a featureless e-logs app that could never be updated. Now, let’s look at a few reliable, cheap eld devices providers that have spent a few years in the market. The BIT ELD device is one of those few eld devices that implement an unconventional pricing model which you can quickly find on the market today with no ongoing monthly fees. You only buy the $ 295 BIT ELD that's it. You will never have to pay any extra charges for monthly or yearly service. There is no legally binding contract to which you must also abide. This is a very fantastic electronic logging device for many of those independent truck drivers and small fleets. If you're seeking to avoid the ongoing monthly/yearly subscription plans, most electronic log vendors require, BIT ELD will definitely be the best for you. You can just plug in the device and literally activate it within minutes and without the assistance of truck mechanics or special tools being used. The device was developed specifically for commercial road truck drivers. 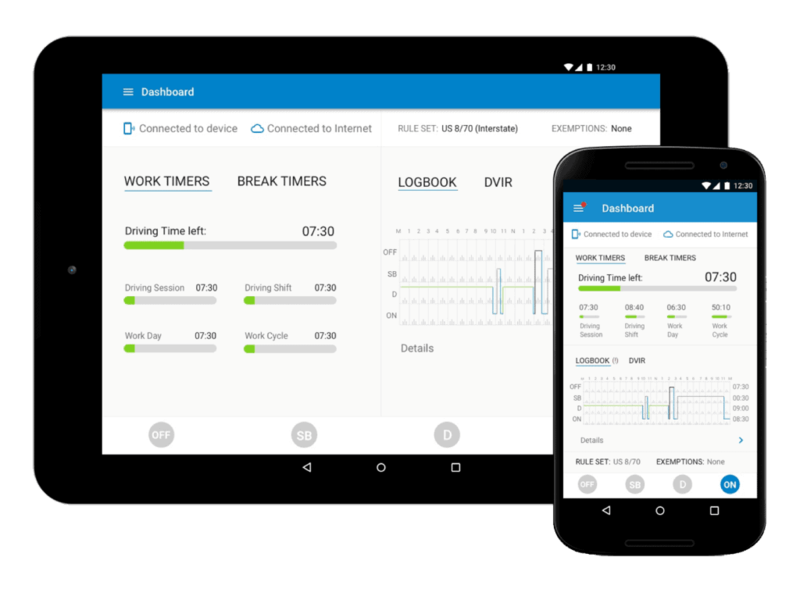 BIT ELD is a very affordable, easy-to-use device (even when you don't have ELD experience). As with all other ELD devices, it doesn't have many extra features, but it's a very cost-effective and credible ELD. The reasonably low cost of owning the BIT ELD made it worth looking for anyone, particularly smaller operations wishing to get compliant without spending much money without compromising quality. This device is a reasonable choice for small fleets who do not need many features for their truck drivers. Continental AG, one of Europe's leading auto manufacturing companies, produces the VDO RoadLog. This ELD involves tools for IRP and IFTA mileage reporting, data archiving, driver logbook automation for fleet software. Though this may sound a bit complicated, that's what you get with this product. Also, this stand-alone device provides compliance reporting plug and plays solution. Vehicle inputs are merged with GPS data to create a digital log that can be printed or downloaded by drivers. But remember that the RoadLog VDO is not just an ELD device for logging. It is designed as an all - in - one tool for fleet management – a tool for communication, tracking device, e-log, and printer. Anything otherwise, a data connection, program, tablet or smartphone would have to be purchased separately. Perhaps one of the most attractive things about VDO RoadLog is that there are no monthly fees. Users who love small monthly payments may choose to spread this system's cost over 36 months. And this is possible if you prefer to select the so-called FlexPay program and device is going to be yours after 36 months (3 years). Are you particularly concerned about law violations or weary of manual logs for managing, tracking, and sharing hours of ELD compliance service records? The ELD App compliant with Garmin eLog can be the perfect solution you really need. This ELD app officially registered with FMCSA is a totally free subscription service that currently works with the Garmin eLog. The device fits most semi-trucks nicely and works best with 9-pin J1939 and 6-pin J1708 diagnostic ports. Plug in the device, download and install the app, and you're ready to go. 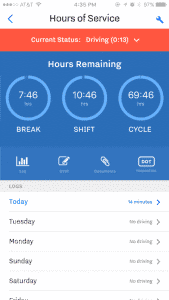 The app documents driver-duty status, driving time and clearly shows how many other working hours you have. For easy and quick retrieval when inspections take place, use a USB flash drive. The Garmin eLog app keeps all your information where they can be easily accessible, not in the cloud. Avoid trouble by tracking your on-and off-duty hours of service automatically. This app enables you to track and run multiple shipments and streamline your business throughout the day. 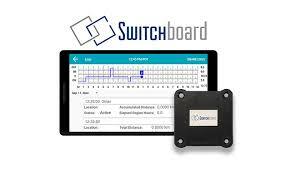 Switchboard is another company that helped create an ELD app that is truly top-shelf. This EDL device is so straightforward and easy to use. 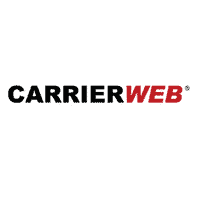 The UI is very intuitive and easy for both the carrier web portal and the driver app and necessitates almost no training. However, the Switchboard ELD is indeed remarkably full of stuff to make things easier for drivers and fleet managers, despite the simplicity. And this is an instantaneously appealing option for fleets who want a solid, simple ELD that doesn't break the bank, combined with very lower prices. In short, with a lot to offer, Switchboard has designed and built a much smoother, user - friendly ELD. The brand is also somewhat new, so some functionalities still need to be added, and some areas need to be improved. And yet it still features pretty solid hardware, useful software, and a perfectly respectable functionality list at a lovely price point. Switchboard will be pretty hard to beat for those interested in keeping down costs while still getting a driver-friendly, high - quality ELD. Switchboard has a remarkably good range of additional features despite strong focus hours of service logs. Some essential features not yet supported include the engine diagnostics (fault codes), built-in navigation, the capture of documents and speed/harsh braking alerts. Almost all of these features are in the works, however, will be fully available in future updates. Furthermore, Switchboard now has some functions less common that truck drivers and managers might find helpful. The previously released weight station bypass system will allow truck drivers with better safety scores to occasionally skip the scale house. Managers may also choose to start sharing a specific vehicle's GPS location with an outside party (for a limited amount of time). A fleet manager, for example, can share a link to a customer allowing them to track their load on a map during the next 48 hours straight until delivery. Switchboard appears to offer a well-rounded toolbox between the standard, unique, and "coming soon" features, particularly considering the price tag. Consumers can consider buying an optional $ 250 Switchboard tablet or have to use their smartphone. It’s optional to access the web portal of the Switchboard, and often, individual truck drivers can do without it, as they have no monthly costs. Data plan not included as drivers can use their own device's data plan, or use one for $ 15/month on the Switchboard tablet. 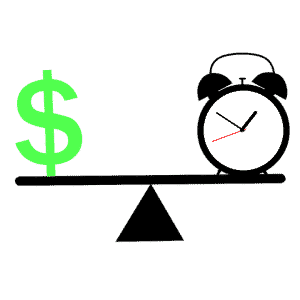 Without monthly fees, using cheap eld devices would save you a lot of money over the long term. The free eld devices are especially suitable for anyone on a limited income who also want to act per the ELD rule and remain on top of things. Any of the ELD mentioned above solutions share some common bond: they enable full compliance with ELD but without monthly charges. And this tends to make them particularly appealing to small fleets. Owner-operators can, however, take advantage of all of these solutions. It is essential to keep in mind that all these free eld devices go far beyond compliance alone. They also enable you to start recording and edit HOS, easily transfer and store logs, capture the diagnosis of your vehicle, and more. Try to take advantage of these capabilities and keep on track. And finally, know the different expenses associated with all of these electronic logging devices prices. There might be system time charges, purchase or lease expenses, access fees, ongoing support fees, and installation expenses to name a few. Be careful when trying to compare cheap eld devices brands, and make a good decision based on what is the most affordable option but offers the highest value. If you need help in finding what is best for you to ensure ELD compliance while saving your money, just take a few minutes to fill out our quote form and we will help you to easily track down the best ELD-compliant fleet management system. Unfortunately, the trucking industry has been slow with innovation and technological breakthrough. For a long time, the Canadian transportation industry was hooked onto the manual pencil and paper logging of driving hours as required by the government. However, this manual way of tracking did not help reduce fatigue related accidents as much as it was supposed to. This led to the creation of the ELD mandate. An electronic logging device, also known as the ELD, is a gadget used to collect and process a driver’s hours of service (HOS) automatically by connecting it directly to the car’s engine control module (ECM). 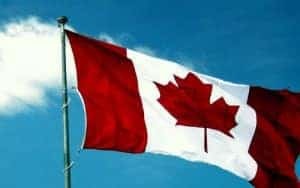 The Canada ELD mandate is said to be very similar to the US regulation, which was carried out on December 7, 2018. What Is the New ELD Mandate? The new electronic logging device mandate in Canada will be a significantly updated law which concerns onboard recording devices and their use. Even though some fleets, can and do, receive benefits from their current automatic onboard recording devices, the new government mandate takes it to a higher level. In its most basic form, the ELD is a device used to electronically and automatically collect data. This data is needed for hours of service compliance. The Canada ELD mandate clarifies how to provide the collected data in a standardized format. It will also show how to transmit information to law enforcement, and how a record of duty status must be graphically displayed on an ELD. First and foremost, the mandate is supposed to make the trucking and transportation industry safer. The ELD mandate will force drivers to get enough rest each day. More rested drivers are more alert drivers. Because the ELD does all of the tracking and logging, the driver will also have more personal free time while not driving. This means no more trying to stay awake to fill out your logbook. The consequence to this is less drive time. Depending on the driver, this could hurt the pocketbook. Another reason for the ELD mandate is for inspections. The ELD will show an extensive record of duty status. This information will be accurately and quickly conveyed to a roadside or two-way scale inspection. This will prove to save more time to both carriers and drivers. In theory, a logistics transportation company, a fleet of trucks, or even individual drivers will benefit greatly from the ELD mandate. The ELD´s allows for clear and thorough record keeping for safety, technical and security specifications. Besides all that, the Canada ELD mandate will continually update shipping and transportation regulations in regards to new emerging technology to help the transportation industry. As an affect, businesses will get seamless future investments in onboard technology. Anyone required to keep records of duty status of a big/small fleet or individual operators will be required to comply. When Will the Mandate Take Effect? The Canada ELD mandate will take effect on the first quarter of 2019. The exact date has still not been mentioned. However, based on the US compliance date, we will know from there henceforth. Fleets that still comply with existing exemptions such as short haul, will not require to have an ELD. Nevertheless, the earlier your company adapts the ELD, the sooner one will be expected to reap from investment (ROI), reduce driver paperwork time, and increase safety and security for the fleet. How Does It Affect Canada? The Canada ELD mandate is expected to impact an estimated 3 million drivers. The implementation of the ELD already went into effect on December 18, 2017, and enforcement authorities will render Commercial Motor Vehicles (CMVs) out of service if they do not comply with ELD. The Canadian ELD has undergone development and is being introduced in phases just like in the US. This will ensure that there is a smooth transition in ensuring cross-border regulations and enforcement are kept consistent. Statistically, there are 30,000 trucks traveling between Canada and USA per day and over $650 billion in goods cross the US-Canada border yearly. This milestone will impact the truck market in Canada positively, and sustain a steady and smooth flow of productivity between the US and Canada. It is also important to know that for Canada, the ELD will be effective for trucks manufactured in 1995 or later, while the USA rucks will be 2000 or newer. What Are The Benefits Of Implementing the Mandate in Canada? From the horse’s mouth, the Canadian Transport Minister, Marc Garneau, stated that the mandate will make Canadian roads safer. He also acknowledged that the Canadian Trucking Alliance had been pointing to research about an ELD mandate that would have a direct impact on reducing behaviours linked with high crash rates, such as driving over prescribed limits of service which potentially causes fatigue. Which Are the Best ELD Suppliers In Canada? Quieres encontrar los mejores ELD dispositivos? Todos los conductores de camiones están obligados a instalar un dispositivo ELD en sus camiones (fuente). Si has aterrizado en este blog, probablemente estás buscando un nuevo dispositivo o quieres reemplazar el que tienes actualmente por uno de los mejores ELD dispositivos. Si aun te estás preguntando Por Qué Debo Tener un Dispositivo ELD? puedes consultar este artículo (por el momento solo disponible en Inglés). La tecnología ELD cambia y está en continuo desarrollo; por lo cuál, hay muchos tipos diferentes de Electronic Logging Devices o ELD disponibles en el mercado hoy en día. Lee a continuación para saber cuáles son los mejores ELD dispositivos. En este artículo, vamos a echar un vistazo a las mejores opciones para ELD disponibles para ayudarte a cumplir con el Mandato ELD y evitar violaciones de las Horas de Servicio o HOS (fuente) que pueden conllevar a grandes multas. Este Mandato fue aprobado en Estados Unidos en diciembre de 2017. 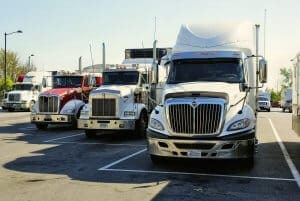 La CTA (Canadian Trucking Alliance) quiere impulsar el Mandato ELD para ser aprobado el quarto trimestre de 2019. Los ERD (Electronic Recording Device) existentes hasta la fecha se espera que estén permitidos en Canada hasta el 2022. Vamos a contestar las siguientes preguntas: Cuáles dispositivos ELD son los mejores? Cuáles son los más económicos y cuáles son los mejores para los operadores propietarios? Forbes nombró KeepTruckin entre las mejores 100 Cloud Companies en 2018 como empresa de primera categoría en innovación para la conducción. Los productos de esta compañía son confiables puesto que están certificados por el FMCSA. Sus dispositivos ELD te proporcionan de la manera más simple y económica una forma de cumplir con las leyes estatales. El dispositivo de registro electrónico de KeepTruckin tiene un cargo mensual, como muchas de las demás opciones disponibles en el mercado. Sus características más destacadas son fuel monitoring y geofencing para permitirte mantener la seguridad en la carretera. There is no upfront cost, y los proveedores le ofrecen cuotas mensuales de solo $35 que debe pagarles durante un período contratado de 3 años. KeepTruckin ELD es probablemente el dispositivo de registro electrónico más accesible del mundo. Viene con una aplicación simple, contemporánea y fácil de usar. Esta aplicación le permite editar registros y estados sin problema. Algunos conductores dicen que usar la aplicación obsoleta de Keep Truckin sin un dispositivo adjunto al vehículo permite a los camioneros hacer trampa en sus registros electrónicos. El conductor puede cambiar el estado de servicio pasado. Los fabricantes han creado una hoja de trucos de ELD que demuestra cómo evitar las infracciones del dispositivo de registro electrónico. La aplicación tiene un modo de inspección DOT que es muy sencillo de usar. El conductor puede mostrar fácilmente a la policía sus datos del historial de registro sin experimentar problemas. KeepTruckin le asegura a los camioneros que pueden usar sus dispositivos ELD para tomar fotos en caso de que estén involucrados en un accidente u otra situación similar para ayudar con las reclamaciones de seguros. Las fotos tomadas se pueden enviar a los agentes de la ley a través de la aplicación. Además de las características estándar que se ven en casi todos los dispositivos ELD, KeepTruckin ha incorporado algunas características modernas a sus dispositivos ELD, como diagnósticos del motor, el monitoreo de combustible, el geofencing y el sistema de alerta de manipulación. App fácil de usar KeepTruckin. Funciones más avanzadas que muchos otros dispositivos ELD. Las imágenes se pueden enviar a través de la aplicación para temas del seguro. El proceso de instalación es sencillo. Las compañías de flotas más pequeñas tienen que pagar un costo por adelantado para el primer año. Los compradores deben firmar un contrato a largo plazo. 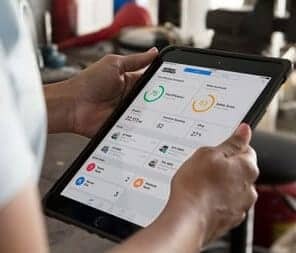 Los dispositivos ELD de KeepTruckin son fáciles de instalar y vienen con una aplicación fácil de usar que permite al conductor ver los registros de conducción y el estado fácilmente. En general, es un gran dispositivo para ayudarle a cumplir con el mandato de ELD y evitar meterse en problemas. Garmin es famoso por fabricar tecnología de alta calidad para el registro de datos, el intercambio de datos, el rastreo por GPS y los sistemas de navegación de vehículos. Es una empresa líder en el campo de la producción de dispositivos de registro electrónico integrados de primera categoría para camioneros. Sus dispositivos cuestan más ya que están completamente cargados con software eficiente, sin el requisito de costos adicionales o suscripciones. La unidad ELD de Garmin tiene la mejor calificación, ya que es una excelente opción para los conductores. Cuenta con software integrado y características premium de calidad. Muchos camioneros lo consideran como una de las mejores opciones y no hay necesidad de tarifas adicionales. El eLog de Garmin es compatible con cualquier puerto regular de 6 o 9 pines. La instalación es muy sencilla y comienza a funcionar tan pronto como se enchufa. Es compatible con muchos otros dispositivos fabricados por Garmin, y su software patentado le permite conectar el sistema de registro electrónico a una tablet o smartphone que tenga navegación GPS. Los fabricantes han hecho este dispositivo para durar. Su peso es de 2.5 onzas, tiene una forma cilíndrica y tiene una elegante carcasa negra. Puede acceder a la información de su ELD usando un USB o vía Bluetooth. Garmin eLog es compatible con una amplia gama de dispositivos Garmin. Como resultado, el operador puede obtener actualizaciones de datos y recordatorios personalizados a través de la aplicación. Este ELD tiene un coste promedio de $249.99 a través del sitio web de Garmin. La grabación de Horas de servicio (HOS) cumple con el mandato FMSCA en los dispositivos ELD. Las hojas de seguimiento de tiempo eLog y el formato de información de Garmin cumplen con los estándares requeridos por FMSCA. Tanto los oficiales como los operadores de flotas pueden ver los registros de datos a través de Bluetooth o USB. El conductor también puede presentar los datos de la hoja de registro de tiempo o eLog utilizando la aplicación Garmin en un cellular. La mayoría de los datos, incluidos el tiempo de arranque del motor y el tiempo de reposo, se registran automáticamente. Esto facilita que el conductor presente los registros de datos fácilmente a los oficiales de seguridad. Este ELD de Garmin es su solución básica para asegurarse de que cumple con las leyes de la FMCSA. Lo compras, lo instalas y conduces tu camión. No hay cuotas de suscripción. La aplicación eLog Garmin es gratuita y permite acceder fácilmente a los registros de datos. Compra única, sin cuotas mensuales. Se ajusta en los puertos de diagnóstico de 6 y 9 pines. Cumple con las normas FMSCA. El horario de servicio al cliente es limitado. Incompatible con Fleet Management software. El eLog de Garmin es fácil de instalar y no tiene tarifas de suscripción. Es un dispositivo electrónico bien construido y una excelente opción para compañías de flotas. Sin embargo, tiene algunas desventajas, como especificaciones técnicas poco claras y un cumplimiento inadecuado de FMS. Stoneridge Inc. comenzó en 1965 como productor de dispositivos para automóviles en Ohio. La compañía ha expandido sus servicios a 15 países y ahora tiene su sede en Michigan. Entienden la importancia de cumplir con las reglas de HOS; por lo tanto, están comprometidos a entregar productos extraordinarios para los propietarios de vehículos. El dispositivo EZ-ELD le ofrece control sobre los requisitos de cumplimiento de FMSCA, para permitirle continuar con su trabajo en paz. La instalación es rápida y sencilla. Adiós al estrés con este dispositivo de alta calidad. Los fabricantes tienen más de 50 años de experiencia en la fabricación de productos para el mercado del automobil, por lo que está obteniendo un gran dispositivo. Como vimos anteriormente, Garmin es un fabricante popular que se ocupa de una amplia gama de servicios. Por otro lado, Stoneridge es una empresa que se centra más en los sistemas de gestión de flotas y las herramientas CMV. Esta empresa conoce las necesidades tanto de los propietarios de flotas como de los conductores de camiones. Como resultado, Stoneridge facilita el proceso para que los operadores de flotas puedan acceder, duplicar, almacenar y editar datos según sea necesario. Además, desde la oficina pueden enviar registros de información a cada dispositivo EZ-ELD, ya que los dispositivos están en línea a través de las aplicaciones de Apple / Android. La aplicación que viene con este ELD es completamente funcional y puede almacenar, distribuir y exhibir archivos hasta 1/2 año, y mostrar datos de registro detallado por mes. Los recursos de Internet de Stoneridge son claros y beneficiosos. Su sitio web tiene manuales, preguntas frecuentes y planes de entrenamiento, que son más extensos en comparación con el sitio web de Garmin. Además, Stoneridge proporciona informes gratuitos para la DVI (Inspección de vehículos del conductor) e IFTA (Acuerdo internacional de impuestos sobre el combustible). El EZ-ELD cuesta $169. Para usar su software se tiene que pagar un cargo mensual de $15. Su software ayuda a ahorrar costes para la empresa que se gastarían en horas de trabajo extra para completar formularios, enviar documentos e intercambiar datos, pero el costo del dispositivo es aún mayor que el de Garmin. Esto se debe a que el eLog de Garmin es una compra única sin suscripciones mensuales. La aplicación puede almacenar datos hasta 6 meses. Los sistemas de gestión de flotas están bien atendidos en este dispositivo. Los paquetes incluyen IFTA y Driver Vehicle Inspection. Cuotas mensuales necesarias para utilizar el software propietario. Cuesta más que el Garmin, en relación al costo total. El Stoneridge EZ-ELD es muy adecuado para las necesidades de las compañías de flotas. Los fabricantes se han centrado en lograr grandes capacidades técnicas. Este ELD es bastante similar al eLog. Mientras que el eLog de Garmin se concentra en la satisfacción del camionero, la función y el funcionamiento multiplataforma, el EZ-ELD de Stoneridge es más extenso. La compañía Blue Ink Tech produce sistemas ELD de alta calidad que cumplen con FMSCA y que no incluyen tarifas mensuales. El objetivo de esta compañía es producir características fáciles de usar en sus dispositivos ELD para atender tanto a los conductores como a los administradores de flotas. Con un Blue Ink Bit, los conductores pueden acceder a sus registros de conducción a través del dispositivo ELD y la aplicación. También pueden realizar inspecciones regulares de vehículos y realizar un seguimiento de las horas restantes en su turno. Los operadores de flotas y los despachadores pueden ver fácilmente los registros de trabajo de todos los conductores, verificar las rutas utilizadas y recibir notificaciones de cualquier infracción. El proceso de configuración es rápido y fácil. Todo lo que necesita hacer es enchufar el dispositivo en el puerto de diagnóstico y conducir el camión. Luego, conecte su celular al dispositivo a través de Bluetooth. El formulario BIT ELD de Blue Ink Tech cumple con las regulaciones establecidas por FMSCA con respecto a los dispositivos ELD. Los operadores de flota y los operadores de despacho pueden acceder a los registros de conducción y editarlos o imprimirlos. El BIT ELD tiene funciones esenciales; por lo tanto, es perfecto para flotas más pequeñas, que no necesitan muchas funciones avanzadas. Aquellos que no quieren ingresar demasiado dinero en un dispositivo ELD. El dispositivo de registro electrónico BIT de Blue Ink incluye el recurso de millas IFTA. Ayuda a los conductores y propietarios de flotas a realizar un seguimiento de las millas recorridas. Los propietarios de flotas también pueden usar este dispositivo para configurar los programas de mantenimiento de sus flotas y ver por dónde están conduciendo los camiones mientras están en la carretera. Sus características son muy básicas, tiene muy pocas opciones avanzadas. El coste inicial es elevado. 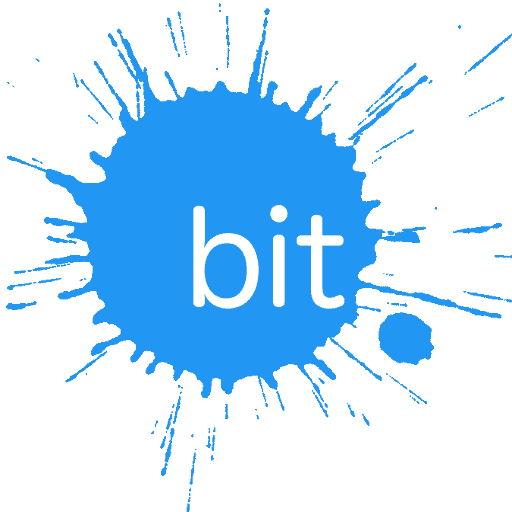 En general, el dispositivo Blue Ink BIT ELD es perfecto para flotas más pequeñas, que no necesitan características avanzadas. No viene con ninguna cuota mensual, por lo que es una opción ideal. Aunque no tiene muchas características avanzadas, su simplicidad es simplemente genial. Rand McNally es un productor de mapas, sistemas de navegación y contenido de viajes. En los últimos tiempos, esta empresa se ha sumergido en la fabricación de tecnología de vehículos. Con más de 160 años de experiencia, esta compañía continúa produciendo bienes y servicios innovadores. Rand McNally ELD 50 posee muchas características robustas. Es fácil de instalar y permite a los camioneros ver y certificar sus registros de trabajo utilizando un smartphone, una tablet y dispositivos actualizados de Rand McNally. Este gadget cuesta $149,99, que es un poco más barato que el EZ ELD. Todo lo que necesita hacer es conectar su ELD 50 en un puerto J-Bus. Proceda a descargar la aplicación DriverConnect y elija un plan de suscripción mensual. Vincule su ELD 50 a su smartphone o tablet a través de Bluetooth. La aplicación Driverconnect reemplaza la necesidad de registros en papel y presenta una interfaz fácil de usar. Puede usar su teléfono inteligente o tablet Android / iOS, o el dispositivo Rand McNally actualizado para ver y verificar los registros de conducción, completar informes DVIR y cambiar el estado de servicio de manera eficiente. Además, puede aprovechar los datos móviles de su teléfono inteligente para almacenar sus registros de trabajo en el Portal Web. Aunque no haya conexión a Internet o no tenga un dispositivo móvil, el ELD 50 de Rand McNally continuará registrando los datos de Horas de Servicio (HOS). Tiene una capacidad de almacenar de hasta dos días. Solo puede obtener acceso al portal web DriveConnect después de haber comprado, instalado y conectado el ELD 50 a un dispositivo Android o iOS. Después de la instalación, puede comprar el servicio web, que viene con algunos cargos mensuales. En general, el ELD 50 parece estar más centrado en la flota que en los conductores individuales. Este dispositivo es fácil de instalar, pero solo puede almacenar hasta dos días de información a la vez, que es inferior a la capacidad de almacenamiento de 6 meses de Stoneridge. El ELD 50 depende completamente de la suscripción mensual de software para trabajar. Además, si su teléfono no está conectado durante esa ventana de 2 días, entonces no se hace una copia de seguridad de la información. Esto puede ser complicado si el conductor pierde accidentalmente su teléfono. Afortunadamente, si se compra una suscripción, el portal web ofrece almacenamiento para todos los registros, hojas de tiempo y métricas, lo que hace que hasta seis meses de datos sean fácilmente accesibles desde un teléfono inteligente o tableta. Ofrece capacidad de reporte DVIR, lo que almacena una gran cantidad de datos. La aplicación Driverconnect es muy eficiente y facilita el acceso a los registros de datos. La suscripción mensual es necesaria para acceder al portal online. EL dispositivo almacena hasta 2 días de datos. 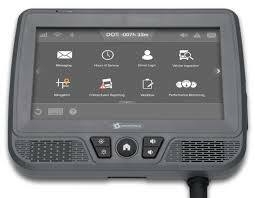 Si bien hay múltiples ventajas de tener un Rand McNally ELD 50®, si elige este dispositivo debe estar preparado para recibir potenciales costes no verificados. La compañía no ha sido directa en proporcionar el coste de sus tarifas mensuales, por lo que es mejor que se comunique con ellos directamente y pregunte por el precio. Linxup es una empresa que proporciona sistemas de seguimiento de vehículos simples, pero altamente equipados. Su servicio de rastreo de flota GPS es eficiente y tiene un precio razonable. Si necesita un paquete completo de rastreo por GPS, un dispositivo de registro electrónico certificado por el plan de datos dinámicos con recursos IFTA automáticos y sistemas robustos de administración de flotas, el dispositivo LINXUP puede ser la mejor opción para usted. LINXUP ELD es diferente de otros dispositivos en algunos aspectos. Para empezar, no es un BYOD (Bring Your Own Device o Traiga su propio dispositivo). Eso significa que los conductores no pueden sincronizar los registros de sus dispositivos Android o iOS y luego acceder a ellos. Más bien, es necesario que compren la tablet de LINXUP. Los fabricantes afirman que al requerir su propia tablet patentada, están reduciendo el riesgo de incumplimiento. Si bien puede garantizar el cumplimiento, así como reducir los riesgos y aumentar las ganancias para las flotas, su motivación no está clara. Con los sistemas BYOD normales, generalmente los conductores llevan sus propios smartphones o tablets Apple o Android para registrar los datos y acceder a las hojas de registro y las métricas. En tal caso, si el conductor se olvida de hacer pagos por sus facturas telefónicas, podría perder la información de seguimiento. Además, puede llevar a una grabación tardía y más estrés. Como resultado, el paquete integrado LINXUP devuelve la responsabilidad a los administradores de la flota, asegurando que el registro de datos se realice sin problemas. 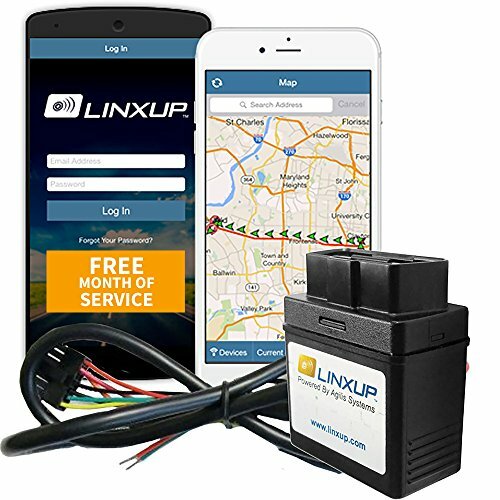 LINXUP ELD tiene un precio promedio de $149.99, que es equivalente al del ELD 50 de Rand McNally. La tablet patentada cuesta también $149.99, lo que significa que el costo total es de unos 300 dólares. Es más costoso que la mayoría de los dispositivos ELD que hemos visto anteriormente. Hay un plan mensual que ofrece a las flotas tres opciones. Plan de suscripción de $29.99 por mes que se adapta a los mandatos básicos, permitiendo a los camioneros compartir sus registros de trabajo con los oficiales de cumplimiento. Plan mensual de $39.99 que proporciona servicios de rastreo GPS y recursos adicionales de administración de la flota. Plan mensual de $49.99 que ofrece todas las funciones anteriores e incluye los recursos de grabación automática IFTA. LINXUP se dedica a ofrecer productos que brindan alta seguridad a los clientes. Sus servicios integrados de ELD y rastreo aseguran que los administradores de flotas puedan rastrear sus recursos y envíos con precisión para mayor seguridad. IFTA reporte de datos automático. Recursos eficientes de gestión de flotas. Ofrece varias opciones de planes mensuales para que los propietarios de flotas puedan elegir. La integración de GPS ofrece más seguridad. Hay una necesidad de costes mensuales. Los planes mensuales son costosos. Los sistemas integrados de LINXUP aumentan la eficiencia al minimizar la probabilidad de errores relacionados con el conductor en la transmisión de datos del vehículo, al tiempo que se reduce la responsabilidad de los conductores para que puedan concentrarse en trabajos más importantes. Si su flota transporta productos de alto riesgo o de alto nivel, LINXUP es una excelente opción. La empresa Magellan tiene su sede en San Dismas, California, y ofrece una amplia variedad de servicios tanto de gestión de flotas, como sistemas de navegación separados y pantallas GPS. Magellan se ha asociado con la compañía Samsung para crear sistemas integrados que se parecen mucho a los de LINXUP. Se accede al dispositivo de registro electrónico de Magellan utilizando una tablet de Samsung. Funciona principalmente de la misma manera en que LINXUP usa su propia tablet para conectarse con sus sistemas ELD. Sin embargo, el dispositivo Magellan tiene capacidades BYOD a diferencia de LINXUP siempre que el dispositivo que está utilizando el controlador sea Samsung. El proceso de configuración es rápido y sencillo. Simplemente enchufe el ELD directamente a su puerto J-Bus u OBD II. Después de la instalación, proceda a descargar la aplicación ELD HOS y comience a acceder a la información. Debe usar un dispositivo Samsung para conectarse al ELD compatible con FMSCA. Además, puede acceder a su Magellan ELD a través de Bluetooth y USB. Al igual que otros proveedores de ELD, Magellan afirma ofrecer el dispositivo y el software de registro electrónico más asequible. En su sitio web, el dispositivo cuesta alrededor de $120 (o 150 dólares cuando se incluyen DVIR e IFTA), que es más barato que los dispositivos mencionados anteriormente. No cobran una cuota de suscripción para el primer año de servicio. Después de esto, la tarifa mensual necesaria es de $10, que es inferior a los cargos mensuales de $15 de Stoneridge. El servicio mensual de $10 incluye el software de administración de la flota y el software de cumplimiento para el conductor. Las tarifas mensuales son de sólo $ 10 por mes. La instalación es simple y rápida. Una opción ideal para flotas más pequeñas. Necesita un dispositivo Samsung para conectarse al ELD, ninguna otra marca sirve. El ELD de Magellan es asequible y fácil de usar. Es un dispositivo excelente para los operadores de flotas que buscan una manera de bajo costo para cumplir con el mandato ELD. Disponible por $799, o si prefiere pagarlo a través de cuotas mensuales, entonces es $30 por mes. Omnitracs IVG, que significa Intelligent Vehicle Gateway, es el dispositivo ELD líder en el mercado hasta el momento. Es muy fácil de instalar; no hay se tienen que conectar un millón de cables. Es simple y aún así hace el trabajo lo mejor posible. Solo un dispositivo y una solución de cable, eso es todo. A continuación, se enumeran más ventajas del producto. El IVG tiene un tiempo de instalación mucho menor en comparación con algunas de las unidades MCP más antiguas. El IVG requiere un tiempo de configuración. Sin embargo, una vez que todo está configurado, se obtiene una conexión completamente estable. Es mucho más robusto en comparación con las simples conexiones plug-and-play. Hay muchas características avanzadas para el IVG. Esas características fueron añadidas a IVG recientemente. Esas características diferencian al IVG de otros ELDS que solo tienen características estándar. Estas características avanzadas incluyen levas para el tablero, escaneo en la cabina y monitoreo de la presión de los neumáticos. El IVG luce nuevas innovaciones deportivas. Por ejemplo, los conductores pueden permanecer conectados al dispositivo ELD y, por lo tanto, continuar trabajando en algunas tareas específicas, incluso cuando están lejos de su camión. Esto se hace conectando su teléfono al dispositivo a través de Bluetooth o Wi-Fi. El IVG tiene un sistema de comando de voz. Se agregó recientemente al IVG. Esta característica es muy útil ya que a muchos camioneros no les gusta escribir (consume mucho tiempo). Con esta función, el camionero puede decir muchos comandos diferentes. Puede hacerlo sin tener que apartar la vista o la mente de la carretera. Muchos sistemas cuentan con muchas características listas para usar. Sin embargo, el fabricante no proporciona actualizaciones oportunas. IVG de Omnitracs anunció planes para convertir el IVG en un punto de acceso personal también. Lo harían para que los camioneros siempre tengan acceso a WiFi. El precio de My20 ELD es casi el mismo que Stoneridge, con algunas excepciones. El precio del ELD real es significativamente menor, solo $45, en comparación con el costo significativamente mayor de Stoneridge. Si bien Stoneridge ofrece una suscripción de software a $15 por mes, que incluye el software de gestión de flotas de back-office, Konexial separa su servicio en dos suscripciones separadas. El costo inicial del software se incluye durante los primeros tres meses de servicio para el paquete básico My20. Eso significa que durante los primeros tres meses de servicio, usted paga solo $45, y esto incluye el costo del hardware en sí. En comparación con Stoneridge, usted ahorra al menos $124 en los primeros tres meses, pero eso es solo en la suscripción básica. 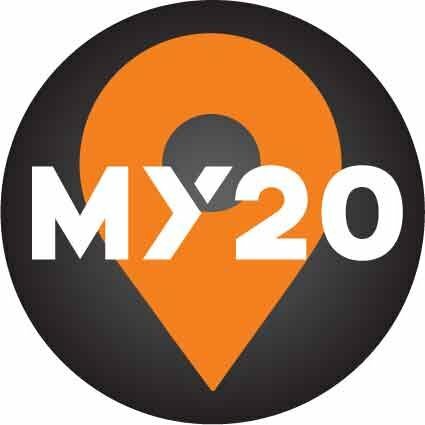 ¿Qué está incluido con el dispositivo MY20 ELD? La suscripción básica a My20 incluye software solo para controladores; esto significa que la suscripción básica cumple con todos los requisitos y mandatos establecidos por la FMCSA. Con la suscripción básica, el conductor puede registrar sus Horas de Servicio (HOS), compartir horas y datos a través de correo electrónico, imprimir, cargar o Bluetooth. Pueden compartir esta información, junto con otros datos recopilados del Módulo de control del motor (ECM), con cualquier funcionario de la ley o grupo administrativo. El paquete My20 Tower, en comparación, incluye el paquete completo. Esto incluye todo el software de gestión de flotas y los recursos disponibles actualmente, como el rastreo de vehículos en vivo y el GPS, el intercambio de hojas de asistencia y otra información a través de los datos y la aplicación. Este paquete cuesta $75 trimestrales, se incluye el coste del dispositivo durante el primer mes. A esa tasa, la diferencia de coste entre Stonebridge y My20 durante los primeros tres meses (ELD y FMS completo) es de $139, siendo Stonebridge un poco más caro. Sin embargo, debido a que Stoneridge y Konexial tienen diferentes precios de suscripción. Anualmente, Stoneridge cuesta solo $150, mientras que Konexial cuesta $300 por año, una diferencia de $150, lo que en realidad deja a Stoneridge como el mejor en coste-efectividad, al menos a largo plazo. La suscripción de tres años con Stoneridge le ahorrará un total de $311 sobre Konexial, y eso es solo en suscripciones. Hay un par de cosas que tanto Stoneridge como Garmin tienen que Konexial simplemente no tiene. My20 se basa únicamente en la capacidad de Bluetooth de sus dispositivos exteriores para transmitir información. Esto significa que el My20 no tiene un puerto USB exterior. Esto es una desventaja. En el caso de que necesite compartir datos de la hoja de registro e información del vehículo con la policía, pero su teléfono está sin batería o dañado, entonces compartir los datos con el oficial de policía sería un poco más difícil (pero no imposible). Por otro lado, tanto Garmin como Stoneridge ofrecen otras soluciones para compartir datos. Tenga en cuenta que FMCSA no requiere Bluetooth ni USB para compartir datos; pero es bueno saber que algunas empresas hicieron el esfuerzo de incluirlo de todos modos. My20 solo brinda soporte para conectores estándar de 9 pines, lo que obliga a comprar un adaptador de su marca o de un tercero. Garmin admite conexiones de 9 pines y 6 pines, pero requiere un adaptador para adaptadores de 16 pines. De los tres, solo la suscripción EZ-ELD de Stoneridge incluye adaptadores / soporte para conexiones de 9, 6 y 16 pines, lo que le permite ahorrar más dinero a largo plazo, hasta $90 dólares, dependiendo de si alguna vez necesita cambiar de vehículo y tomar su ELD contigo. Y de los tres, solo Stoneridge ofrece informes mensuales gratuitos (Garmin lo seguirá pronto) para IFTA y DIVR. No puede ser mejor que esto. El Display.4 es indiscutiblemente el mejor ELD de todos los tiempos. Pero viene con un gran pero considerable: su precio de $1199. A un precio tan elevado, muchos evitan comprarlo. Pero aún así, el producto tiene una gran base de clientes debido a todas las increíbles características y calidad que ofrece. La compañía es una de las más antiguas que existen, desde 1994. Desde entonces, se ha consolidado como líder en el mercado. Sus productos son de confianza y hacen honor a su reputación. A pesar de ser una empresa tan grande, el producto en sí es simple y fácil de usar. Los menús son sencillos, la pantalla táctil es más fácil de manejar en comparación con las demás marcas. La tablet tiene la tasa de fallo más baja de todos los tiempos. Display.4 ofrece características estándar junto con una función de mensajería. Sin embargo, los dispositivos cuentan con muchas características avanzadas. Estas características son el control del estado del motor y la comprobación de la presión de los neumáticos. Además, el dispositivo ayuda al conductor a controlar el consumo de combustible. Finalmente, también se pueden configurar alertas de velocidad y seguridad. La principal ventaja que tiene la plataforma PeopleNet es la configuración del sistema diversa. Además, le permite satisfacer todas las necesidades de su flota utilizando la configuración de su sistema. Si aún no está seguro de qué dispositivo ELD elegir, complete el formulario a continuación y obtenga una consulta gratuita para evaluar sus necesidades específicas. En lo que se refiere a los precios, los fabricantes tienden a engañar a los conductores. Muchos anuncian tarifas mensuales bajas de $15 y $20 por mes. Sin embargo, cuando se investiga más, se descubre que para obtener un buen precio, debe suscribirse a un contrato a largo plazo. Además, muchos cobran tarifas ocultas por otros servicios, como informes de IFTA, etc. Otros fabricantes de ELD, como Garmin, no tendrán tarifas mensuales. Sin embargo, el conductor se verá obligado a pagar la fuerte inversión inicial de $250. Para mi camioneta, elijo el Garmin elog. Para mi segundo camión, opté por el bajo costo mensual a pesar del costo inicial para evitar el contrato de 3 años. Durante bastante tiempo, hubo una gran idea errónea acerca de los dispositivos ELD. Hay muchos por ahí que piensan que los dispositivos ELD invadirán su privacidad. Tenga la seguridad de que no es el caso. La razón de pensar de este modo es porque parece que está continuamente rastreando la ubicación. Esa es una suposición falsa. El fabricante de ELD no conoce la ubicación actual de cada controlador. Los ELD rastrean la ubicación del conductor. Sin embargo, solo los administradores de flotas pueden ver esta información. Además, ninguno de los dispositivos ELD siempre está rastreando su ubicación. Solo comienza el rastreo cuando el motor del vehículo está en marcha. No hay manera de almacenar un rastreo constante, sería demasiada información para almacenar en la memoria del dispositivo. A pesar de todo eso, la FMCSA reconoce las preocupaciones de los conductores sobre su privacidad. Por lo tanto, está implementando una cláusula de privacidad en el ELD mandate especialmente para este problema. Esta guía completa sobre dispositivos ELD incluye mucha información. Esperamos que esta guía incluya toda la información que estaba buscando. Ahora depende de usted hacer su elección y decidir. Cualquiera que elija, seguramente cumplirá con su nombre y le servirá bien. Samsara ELD device review is a new entrant into the ELD market when compared with Garmin and Rand Mcnally ELDs. However, According to drivers and owner operators , Samara ELD Device review is by far the best ELD (Electronic Logging Device) out there. It is affordable. It is incredibly functional, and it does just about everything but the dinner dishes. It is user-friendly, with technological help that is reportedly superbly efficient, knowledgeable and friendly, and is only a phone call away almost all the time. I must say that the buzz surrounding the Samsara ELD device seems to be both well-deserved and completely understandable. In this article, we will explore all the pros of samsara ELD and the very few cons of samsara electronic logging devices. The Samsara Electronic Logging Device (or ELD, by which it is more commonly known). It is a fairly new, mandated compliance device in the world of professional transportation companies, such as trucking firms and school (or commercial) bus companies, particularly those with larger fleets of vehicles. Basically, it is the ultra cool new kid who just moved in on the corner, and she has all the latest cool stuff that all the other neighbourhood kids want. Samsara ELD is cloud-based and supremely reliable. Samsara is user friendly, a snap to adapt to despite her plethora of useful and utilitarian features. Samsara ELD might be the new kid on the block, but it is quickly becoming the Microsoft/Apple of the mandated compliance device field. And I am here to tell you, the best candidate is named Samsara. She has got it going on, for real, She’s dynamite in a tiny package, like all the best and funnest small ones always are. Allow me to touch on just a few of Samsara ELD’s many outstanding qualities, and I think you will find yourself agreeing with me in no time at all. Samsara ELD was born in 2015 (don’t worry, that makes her about 25 in computerized technology years). Almost immediately, Samsara began helping trucking companies advance at an astounding rate, by enhancing the efficiency and company safety issues inherent in their inner function and practices. In short, Samsara has been innovating and improving the field of electronic logging devices for several years now. In that time, they have both built up a stellar reputation for quality services, and fine tuned their technological goals as a company. The modern Samsara ELD device is packed with tools and capabilities that focus hard on enhancing the safety and efficiency of the clients’ vehicle fleet. Despite the challenges inherent in the meeting of those goals, Samsara still manages to save the client money on costs. So let us get realistic. From transportation and logistics firms, to food production and transportation businesses, and construction companies, ELD systems are a must. The Samsara ELD will not only save you money, in comparison to its many competitors, but it will still manage to provide access to the very best sensor data possible for your vehicle fleet. Between the ELD hardware and the office tools provided by Samsara to its customers, what you will be receiving is a proven solution for increased organization within your company, as well as higher quality safety measures and more efficient operation within your fleets. What would a product review be, without a comprehensive list of pros vs. cons? Entirely one-sided, that is what it would be. So we will start off with a list of positives associated with the Samsara ELD. In the interest of fairness and full disclosure, here are a list of cons, or drawbacks, that are commonly reported among clients of the Samsara ELD system. Some of them seem to directly contradict certain aspects of the Pros list, but this is a review, and we are in pursuit of objectivity, after all. Here are some of the problems users experienced with Samsara. The durability of the actual hardware leaves something to be desired. Although Samara is great about replacing defective units, or units that have ceased to function, some clients report that this is far too frequent an occurrence. While Samsara claims that their ELD system is designed to never lose its connection, some users have claimed that it actually does drop its data connection, and frequently. Lose connection may result in loss of data entries, random and “odd” data changes to existing entries and even the spontaneous creation of entirely new data entries that never existed at all before the connection dropped. Finally, clients have reported a plethora of issues surrounding video retrieval. These issues range from extremely time-consuming processes for identifying and retrieving video for specific time periods and/or locations, to the fact that only one minute of video can be downloaded at a time, resulting in a waiting period of several hours for complete videos to be ready for viewing by the client. But Samsara goes beyond standard compliance, providing features that far surpass simple logging to provide data that helps to streamline a company’s business operations. Essentially, Samsara designed their ELD device to offer compliance with FMCSA regulations, at about half the cost of previous standards in the ELD market, and with more features included than could have previously been imagined. With the Samsara ELD, fleet routing and dispatching is an absolute breeze. Because Samsara is superb with fleet management, there is really no need to call drivers to find out their exact locations. The Samsara gives real-time locations on any and all vehicles, at any given time. In the same vein, users will be able to share their “live tracking” with their drivers, when and if needed. Some clients have reported issues surrounding these features, however, which I covered pretty extensively in the ‘Cons’ section of this review. A unique feature of the Samsara ELD is that, unlike its leading competitors, it actually provides in-cab Wi-Fi hotspots for drivers who have the Samsara ELD unit attached to their vehicles. It provides 500 mb of data per month, per individual vehicle. This wildly convenient feature serves multiple purposes, one of which is improving the productivity of drivers by encouraging them to use mobile productivity apps, such as CRM, Work Order, HD video, and messaging and email apps specific to their company. These Wi-Fi hotspots are very powerful, but some clients have had issues with lost and dropped connections. Dash cams are an ELD tool and an advanced safety feature of the Samsara product. They are the equivalent of having “computer vision” or even “artificial intelligence” aboard each one of your vehicles. Samsara hardware includes dual-facing HD dash cams, and also features a front-facing HD dash cam. Between the two, these dash cams are capable of catching every nuance of any possible incident of interest or concern, and uploading it directly (and automatically) to the cloud storage capability. These cams are extremely important, for several reasons. One reason is that these exclusive Samsara dash cams can capture essential incident footage, eliminating the problems of hazy human memories, he-said-she-said debates and suspicious-sounding stories involving accidents or other occurrences in question involving employees and company property. The cams allow owners and management to review footage involving near-misses, suspected distracted driving behaviour, and to monitor collations if and when it may become necessary. They can even automatically detect and tag signs of distracted driver behaviour, all of which ultimately goes a long way toward a dramatic reduction in the frequency of accidents. However, life is random, at times shocking, and accidents are bound to occur from time to time. When they do, Samsara’s HD dual dash cams are extremely useful tools throughout the accident investigation process, and helping to identify the responsible party so they can be held accountable. Just be prepared for the process to take some time, as there have been reports of extremely long download times for this type of video footage. Of course, it would be better if no accident ever occurred in the first place, I think that just about anyone would agree with me about that, which is why Samsara’s ELD HD dual cameras are also great for identifying risky driving behavior before it has a chance to cause a problem. The identified employees are then given further education and instruction on how to remain safe and behave properly when back on the road. Still more of Samsara ELD’s numerous, innovative features involves the practices of dispatch and routing. The Samsara is a superstar at fleet management, making fleet routing and dispatching an absolute breeze. Due to Samsara’s ability to provide real-time information on the location and status of any vehicle in your fleet, at any time, there is never a need to call your drivers to check in on their location. It does not get any more convenient, efficient or simple than that process. However, some clients do find that the location function leaves something to be desired in terms of precision of exact location, although the overwhelming majority of clients have reported outstanding capabilities where this function is concerned. The features that I am about to explain, all having to do with what Samsara has done to improve your company’s ability to handle, share and capture documentation, may surprise you. These are features that have been proven to go above and beyond to enhance customer service capabilities for your trucking business. They illustrate further the status of the Samsara ELD as head and shoulders above the competition in the world of professional transportation management and, specifically, the world of electronic logging devices in general. The Samsara ELD has an innovative, built-in capability that allows you to eliminate the need to manually scan, sort, and file certain documents. It allows you to upload and access these documents from a central location. It even makes it possible for your drivers to use their smartphones or tablets to document their receipts and bills of landing, making them available to you within seconds of the drivers’ documentation, no matter where their current location. Some clients have had issues with this driver app function freezing repeatedly, however. This system also automatically uploads important documentation to the cloud. This allows fleet managers and other executives to view them from their Dashboard. This feature is useful also for processing important payroll documents, and it makes customer invoicing a snap, too. In some cases, clients have experienced file corruption when these types of documents are automatically uploaded, although it seems to be a very rare problem. The Samsara ELD features some of the most high quality and efficient GPS sensors available in the industry. And there is absolutely no question that access to the very best GPS sensors out there provides a serious upward boost to your business. These GPS sensors provide you with real-time information on utilization and fuel consumption. They provide a close look at route performance, and even driver behavior. They allow you to monitor vehicle location in real-time. In a nutshell, these highly efficient Samsara ELD GPS sensors provide all kinds of vital information about drivers and their vehicles. Samsara even offers an aerial view option, in real-time, of the actual vehicle or vehicle at its current physical location. That is some next-level GPS monitoring. The benefits offered to fleet management by these innovative features are absolutely amazing, even when taking into account the fact that a small minority of clients have taken issue with the level of location detail provided by the Samsara ELD. The importance of cost-effective monitoring, control and compliance for transportation companies that handle refrigerated assets cannot possibly be overstated. Visibility and control are incredibly essential when it comes to reefer monitoring. Luckily, the Samsara ELD has all your reefer monitoring needs covered, in spades. These are unique features, unlikely to be found in any competitors’ ELD products. The Reefer Monitoring feature is a perfect example of the Samsara ELD’s status as a superior ELD product. Take that absolute need for visibility and control over your reefer operations, for instance. Samsara offers a powerful combination of two-way reefer control, wireless sensors, and instant alerts to provide that essential visibility and control over the efficiency of your entire operation. This system features instant alerts and wireless sensors, which provide enhanced visibility and control over your fleet. It provides FSMA compliant, continuous temperature logging, eliminating the need for manual record keeping and providing temperature records on-demand. The sensor devices even enable you to provide temperature data on Proof of Delivery documents, which is a terrific enhancement for every companies’ customer service capabilities. The constant temperature monitoring data records will also allow you to show proof to your clients of how well you cared for their cargo. Another benefit of the Samsara ELD’s sensors when monitoring reefers is that, if the temperature in a reefer deviates from the pre-set range, you will be notified instantly, which can prevent all sorts of problems and damage to loads that are temperature sensitive. Samsaras’s affordable reefer management solution even controls temperatures in-transit, preventing product spoilage and rejected deliveries of temperature-sensitive cargo. After thoroughly reviewing and examining the capabilities, features, functions, and overall value of the Samsara ELD system, there are only a few logical conclusions at which to arrive, in my humble opinion. I will mention a few of them here, although, of course, the final decision is always the consumers’ to make. There are, of course, other affordable ELD system options available on the market, in direct competition with the Samsara ELD. But these other options are hopelessly outclassed when it comes to the myriad of features and functions that are included as standard to the insanely versatile and capable Samsara ELD. Even when taking into account the list of ‘Cons’ contained in this review, it is important to remember that those problems and issues are reported by a very small number of Samsara clients. The overwhelming majority report entirely positive experiences with the Samsara ELD system. Samsara has produced an extremely high quality product in the word of electronic logging devices and transportation. After careful consideration of both the benefits and drawbacks reported by a large cross-section of clients, I recommend the Samsara ELD. It is well worth its humble (and affordable) price tag. Gorilla Safety ELD review Fleet Management is one of the latest entrants into the fleet management and Electronic Logging Device (ELD) industry. It is, nevertheless, one of the best. 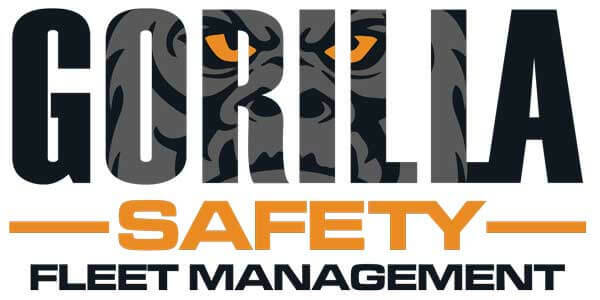 Gorilla Safety was founded in 2013 as a risk management and fleet safety company. It took advantage of the establishment of ELD legal requirements to get ahead of the competition by producing superior eld device. Gorilla Safety successfully integrates full fleet management solutions with ELD technology. In this complete gorilla safety eld review, we will list all the pros , cons and costs. Gorilla Safety ELD review, the PRIME8 Mandate, is inarguably one of the best in the market. The device is built in compliance with the latest FMCSA regulations and employs the latest technology for advanced logging and tracking capabilities. The PRIME8 ELD device by Gorilla Safety is designed as a small black box that is installed into the truck through the diagnostic port. It lacks some of the basic features of other ELD devices, but it still ranks among the best. The safety of your truck is just as good as the skills and competence of your driver. A skilled driver should be able to drive defensively and exhibit integrity in his/her work. Gorilla Safety has an entire department dedicated to training truck drivers to master the American roads and conform to the laws and regulations. Trainees also enjoy complementary services such as licensing, documentation, and even employment opportunities through the company’s networks. The Compliance, Safety, and Accountability (CSA) score is used by the FMCSA to determine risk levels for vehicles and drivers. A poor CSA score will get your trucks and drivers listed in the high-risk category, and this will open a flood of legal, ethical, and professional issues. It is also frowned upon by third parties such as insurers. Gorilla Safety takes several measures to help its clients maintain good CSA scores. For starters, it offers educative materials about complying with road safety regulations. It also trains drivers to the highest standards to avoid petty issues in the future. Accidents involving trucks are common on American roads. In most cases, the blame lies with the truck. Gorilla Safety does not take assumptions when its clients become involved in accidents – it dispatches a team of investigators to find out what transpired and determine the exact causes of the accident. This goes a long way in helping with the legal and insurance paperwork, among other things. Trucks are prone to mechanical problems especially when transporting heavy loads. Breakdowns are liabilities as they cost money and lead to the loss of vital time. As such, it pays to have a dedicated repair and maintenance team. Gorilla Safety has a team of mechanics and technicians who are always ready for deployment when any of their clients’ trucks breaks down. Gorilla Safety’s ELD device packs a host of features in spite of its small size and plain design. It has several features that set it apart from the competition. The services highlighted above should not be mistaken for Gorilla Safety ELD device features – they are complementary features from the company’s risk management department. Paperwork is one of the undesired tasks in many industries including transportation. It is, however, indispensible. Documents management is one of the features of this ELD device. The program breaks down documents into four categories: truck files, driver qualification files, company files, and patent pending ELD supporting documents. It also offers simple solutions for transferring documents between drivers and management and obtaining digital signatures, among others. Many of the common maintenance inspection violations are easily avoidable. However, you cannot fix what you cannot see. This is why Gorilla Safety includes the eDVIR and mechanic inspections option in the company’s app. This option is used to evaluate a truck’s fitness as well as maintaining records of emerging mechanical problems. By keeping the driver and truck owner updated on the truck’s fitness, this app enables users to fix problems early and hence avoid tickets, fines, time wastage, and many other inconveniences. There are many things to remember in the fleet transportation industry. One needs to keep track of inspection and maintenance schedules, collect driver signatures, and do so much more. This can prove difficult without the proper organization measures. Gorilla Safety helps to bring some organization into the business using its “Alerts” functionality. This feature automatically reminds users to get things done in a timely manner. All users have to do is schedule their tasks and specify the time – alerts are sent to their phones and computers when the time comes, hence avoiding the hassle of keeping up with scattered schedules. Accidents are a transporter’s worst nightmare. They lead to hefty losses from mechanical damages, legal fines, and lawsuits in some cases. As such, it pays to have the upper hand on facts when an accident occurs. Gorilla Safety helps shield its clients from these inconveniences by offering a comprehensive investigation tool. Using this tool, the driver can collect the other party’s statement, record witnesses’ testimonies, take pictures, and collect all the necessary information to establish the cause of accident. This data comes in handy in cases of lawsuits and other legal measures. 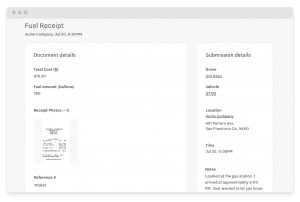 This feature makes it easier for drivers to keep up with paperwork. It provides a consolidated space where drivers can document dispatch records, delivery receipts, and communication records, among other documents. It helps drivers save time and avoid the hassle of paperwork, hence allowing them to concentrate more on driving and meeting deadlines to the benefit and convenience of your business. Installing the Gorilla Safety ELD device is so easy that you do not need technical skills to do it. The devices are designed to connect to a truck’s diagnostic port using 6-pin and 9-pin adapters. Installation takes minutes and registration and logging is almost instant thereafter thanks to its plug-and-play design. 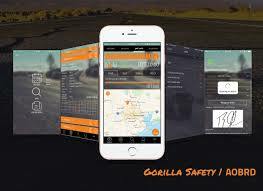 Gorilla Safety uses advanced GPS technology to keep close track of clients’ tracks. These GPS systems collect vital data such as the amount spent on the road, number of inspection stops, speed, and so much more. Clients use this data to streamline their services and avoid wastage of time and other valuable resources. The PRIME8 mobile app is designed to offer an easy-access portal to all the features and capabilities of the PRIME8 ELD device. This Elog app is designed to be compatible with both Android and iOS mobile devices. These apps have neat layout that are designed to offer easy access to diverse commands. They also have their shortcomings. For instance, it is faulted for not offering a messaging platform to keep drivers in touch with their managers and other third-parties. Its scheduling capabilities are also wanting. However, the company says that it is always working to improve its mobile applications and other programs. In addition to the mobile applications, Gorilla Safety also has an entire web portal dedicated to fleet management. This portal for fleet managers contains vital databases that store and retrieve documents such as drivers’ qualifications, maintenance inspection dates, and so much more. It also enables managers and drivers to exchange documents and signatures digitally in real-time. However, this portal features one major shortcoming – it does not have solutions for allocating unlogged driving tasks to individual drivers, thus making it difficult to maintain some records. Gorilla Safety is popular for its affordable services. It charges lower fees compared to other fleet management service providers. What’s more, considering the quality of products and services offered, it can be argued that this company’s services are cost-efficient. Gorilla Safety has many advantages and, like every other company, some shortcomings. The Gorilla Safety ELD devices and services are more affordable and cost-effective. Their devices have cheaper price tags that others and yet offer the same quality of services. Taking into consideration the risk management services offered, these devices are worth every penny. These devices are designed to last for years even under duress conditions. They are small and compact enough to withstand the adversities of trucking. What’s more, they come with warranties that guarantee replacements for sub-standard ELD devices. Gorilla Safety scores better-than-average when it comes to customer support. The company’s customer care department is always open to cater to clients. Clients can voice their queries via several channels including telephone calls, instant messaging, and emailing, among others. Gorilla Safety’s products and services are easy to use for everyone including drivers and managers. For instance, installing the ELD device is quick and does not require any technical knowledge. The mobile apps and web platform are also easy to navigate, and any hitches can be addressed by the company’s customer care agents. As mentioned, Gorilla Management is more than an ELD company – it also doubles up as a risk management service provider. It offers a wide range of risk management services including document management and accident investigation, among others. This helps to keep clients’ trucks and employees safe, thus safeguarding their businesses. Transporters run on fixed schedules and are often pressed for time. Late deliveries come with many consequences including poor reputation, fines, and, in worst case scenarios, loss of clients. By offering complementary services and automatic some tasks through its mobile applications, Gorilla Safety saves its clients a lot of time that it allocated to other important tasks – this goes a long way in boosting their businesses’ performance. As highlighted earlier, Gorilla Safety’s mobile applications and web portal lack some functionality. The lacking features compromise the platforms’ entire functionality, and this compromises their quality and utility. Gorilla Safety’s ELD devices may be sophisticated, but they are at fault for dismissing some basic yet important features and capabilities. 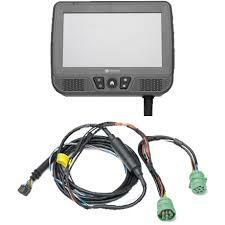 For instance, these devices do not capture data about engine fault codes. Gorilla Safety Fleet Management is undoubtedly one of the best companies in its niche. It is popular for its superior-quality products, risk management services, and affordability, among other factors. Its benefits far outweigh any shortcomings, and it is worth every dime. Fleetmatics REVEAL is a fleet management, cloud-based solution suitable for small and average-size companies. Users can view all drivers on a map and automatically detect vehicle misuse such as harsh braking, hard corning, quick starts, and more. The solution notifies dispatchers and supervisors of dangerous driver behavior via push alerts in real time. Dispatchers can quote the arrival time to customers because the system provides a dynamic map view of drivers. Fleetmatics REVEAL provides drivers with mobile apps for iOS and Android devices to track their own performance via smartphone. After logging in, drivers can view nearby company vehicles and get their task. especially when a stop is added and the route needs to be re-optimized. The Today view shows them what stops are scheduled and a scorecard to indicate how they compare with other drivers using measures such as idling, the number of stops, and speeding. The mobile app provides turn-by-turn navigation through Google maps. Is Fleetmatics Reveal The Best Solution For You? 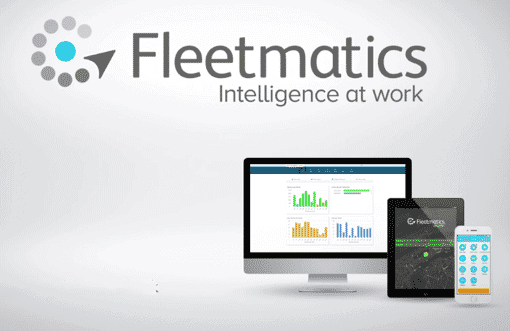 Fleetmatics REVEAL is a good fit to companies that need their fleet on a daily basis. The company is a leading global vendor of fleet management apps for SMEs delivered as software-as-a-service (SaaS). This company’s products help clients meet the challenges associated with managing local fleets, and improve the productivity of their mobile workforce by using actionable business intelligence from historical and real-time vehicle and driver behavioral data. The company’s intuitive, affordable web-based apps offer fleet operators visibility into fuel usage, vehicle location, speed and mileage, and other insight into their fleet, enabling them to minimize capital and operating costs and increase profit. The company serves almost 40,000 clients and approximately 757,000 subscribed vehicles across the world. Fleetmatics makes efforts to enable its clients to focus on their business to realize ROI that includes reduced costs, increased revenue, and ability to grow profitably. The company’s North American headquarters are in the Boston area with added offices in Phoenix, Cleveland, Clearwater, Charlotte, and Chicago, as well as in offices in the UK, Ireland, and Australia. Fleetmatics REVEAL offers real-time fleet monitoring, so the client will be able to dispatch more efficiently, minimize time spent calling drivers for updates, and improve customer service. At the same time, the company helps prevent breakdowns in many different ways. It provides maintenance alerts to inform clients when vehicles are due for proper maintenance, warding off truck breakdowns. Alerts can be set based on engine time, calendar time, or mileage depending on the type of service needed. Eventually, clients are able to save considerable amounts on fuel, because this fleet tracking app can help reduce costs by reducing incidences of speeding, improving routing and dispatching, and decreasing idle times. At the same time, you get to limit unauthorized vehicle use and can find stolen vehicles quickly. It is possible to handle unsafe driving habits before they lead to more serious issues. Another important advantage is that by improving routing and dispatching efficiency, the fleet tracking app makes it possible to get more stops done per day. Customer service is improved because you can reach your customers faster and report to all of their emergencies more quickly. With Fleetmatics, you can get historical proof time on location and make service calls more efficient. This is the company’s field service management software, which offers a major advantage in that it streamlines management and reduces paperwork. It can be bought to take schedules, quotes, invoices, and more off the desk and onto the cloud. Once inside the system, it is possible to control schedules, make scheduling and assigning jobs to other employees easier, no matter how many changes take place, and ultimately get more work done. Users become more productive by organizing, simplifying, and managing day to day operations. The mobile app will make sure everything runs smoothly and fast when your technical staff can keep and send all of the key job details in the palm of their hands. What is more, Fleetmatics integrates smoothly with major accounting packages to ensure that your accountant catches wind of all vital business info. Fleetmatics ranks in the top 500 Project Management Software products and is 23rd on the list of field service management software. You’d be hard pressed to find any app in the latter category that is a perfect solution capable of meeting all the requirements of various business sizes, types, and industries. Specific solutions usually excel only in a really narrow group of applications or are developed with a very specific type of industry in mind. Others might work with an intention of being simple and intuitive and as a result not offer complicated features desired by more experienced users. Still other services support a broader group of users and offer a set of complex, intuitive features, but this software usually costs a lot more. This is why it is great that you’re reading this review – you need to know what your needs are so that you pick a software that has the exact elements and aspects you are looking for. Fleetmatics Reveal features a number of pricing plans, with enterprise and SMB pricing being available only upon request. Generally, the system is priced somewhere in the upper mid-range in this category. The good news is that the company does not charge anything up front. The estimated monthly price is $35/month for the basic REVEAL platform and hardware, featuring a variety of reports and tools, including GPS tracking. To add electronic logs, you need to pay an extra $10/month. There is also an estimated $15/month for a cell enabled smartphone or tablet with a data plan. It comes to around $60 per unit per month, if you are providing the cell data plan instead of asking drivers to use their own phones. We realize there are some pretty bad reviews of this company’s product out there. When you decide to buy Field Service Management Software such as Reveal, you need to read not only expert reviews, but also those of real people and companies using the product and whether they’re satisfied with it, and to what extent if so. Fleetmatics Logbook, the mobile app of the product, was created specifically for Fleetmatics REVEAL users and offers an easier way to manage the time-consuming paperwork and compliance documents. This saves both drivers and administrators lots of work. The app requires a Fleetmatics REVEAL vehicle tracking system account with LogBook vehicle features and hardware enabled and a valid username and password. Contact the company’s support team if you’re not sure if you’re using REVEAL. Also, you need to use a data plan to apply the app, either via the device itself or with a mobile hot spot combined with the device Wi-Fi features. The Fleetmatics iOS Fleet Tracking hardware needs to be installed in the vehicles for the app to work. The hardware can only be bought from Fleetmatics and is included in the monthly subscription price. Fleetmatics’ app ensures full compliance with FMCSA regulations for all vehicle types. Managers have visibility into HOS tracking for box trucks, tractor-trailers, buses or pick-ups with hitch trailers within their fleet. It tracks HOS information seamlessly by getting the vehicle information through the engine right to the mobile app. Real-time HOS events unrelated to driving can be recorded in real time as well, even when the driver is away from the vehicle. Drivers log into this native iOS application and begin tracking their service hours with limited interaction. Automatic software updates keep you compliant for future regulation changesThe app works with any type of vehicle and supports property-carrying and passenger-carrying FMCSA regulations. It also supports the exemptions “Oilfield” and “Texas Intrastate.” The solution is compatible with small, medium, and heavy duty vehicles. It makes a seamless transition to electronic logs, with an app that is easy for drivers to use and an intuitive interface for office staff. The bulk of the business is focused on smaller local fleets such as service vehicles of the likes of cable repair or plumbing repair vans and local delivery trucks. Historically, over the road trucking is not their core market, and this fact is reflected in their ELD offering. Reveal is the basic fleet management product, one that is superb and is utilized by fleets all over the country. It features reliable tracking, and there are some really great reports and dashboards to help you manage your mobile workforce. The back office tools for fleet management and tracking are user-friendly and visually appealing. To help avoid tampering, you can hide the tracking hardware behind the dash. What is more, the device even has its own 4G cell connection. This way fleet managers can still get location updates from the unit even if the display tablet/smartphone is turned off. All this makes it a very solid, stable, and robust GPS tracker. It is a great choice if tracking and fleet management are all you need. Unfortunately, there are some downsides that trucking fleet owners and managers looking for an ELD should consider. The system doesn’t offer some of the features that are standard in many other systems. For instance, there is no driver-team mode, no two-way messaging, minimal engine diagnostics, and no truck route navigation. Integration with transportation software like TMW and McLeod is limited or non-existent. It can be relatively more time-consuming to install this solution in comparison to most other “bring your own device” ELDs. The 3-wire system must be connected to land, power, and ignition separately instead of plugging straight into the diagnostic port. The Fleetmatics LogBook software used by drivers requires you to download a completely separate app from the LogBook app, which itself hasn’t been rated highly by all drivers in the Google Play store. What may be the most important thing is that a lot of ELD-mandate-required features are currently being developed, but are not yet available. This includes Personal Conveyance and Yard Move modes. Drivers are not able to send logs via email or other wireless methods at the moment. They can edit their own logs, but there is no mandate compliant approval process to accommodate edits made by fleet managers as of yet. And on the topic of log edits, the system for making log corrections is a bit slow, and there is no quick way for fleet managers to assign driving. The company is working on all these features actively, with the full intention of releasing them very soon. Interested fleets should be aware that some important features are not yet available, and will likely need some time to be adapted once they are released. That aside, Fleetmatics, which became Verizon earlier this year, is a respected and reputable company with a long history as an industry leader in telematics and tracking. As a long-time Verizon subsidiary, they have the means to make serious improvements to their products, and we believe they tend to do so. For now, however, trucking fleets looking for an ELD are advised to exercise caution. This market is not the Verizon wheelhouse yet, and the ELD can feel like an add-on rather than the real thing. Customers’ feedback varies very widely, from “couldn’t disagree more” to “super easy”. Some users are saying it’s easier to work with than any other system. Other people report that it’s really easy to learn the ropes and doesn’t drop service like other POS systems they’ve used in the past. Dropped service equals cash loss, so indeed, it’s unwise to invest in cheaper systems in the long run. Still others are saying they’ve had nothing but issue after issue with this system. They mention that the support team doesn’t even return calls, much less assist clients in getting though issues. They recommend getting a third party to try to help with whatever problem you’re having. One user states he just had his first trip cross county with this company and had to file three reports. He ended up turning the system off and going back to paper logs. He adds that real-time solutions are something that is not possible with this company yet. However, this may refer to an earlier version of the system, which has since undergone many updates. Also, Fleetmatics became Verizon since then, which has had a very positive impact on the quality of service (see section “When Fleetmatics became Verizon”) below. Like we mentioned earlier, it is important to not only read expert reviews like this one, but also real comments left by actual users in order to get the best possible grasp of what the system is really about. This is why we have included a lengthy Pros and Cons section at the end of this review, based on actual, real-life reviews by real former, present and potentially future clients. When Fleetmatics became Verizon, it became possible to gain access from anywhere with really fast web-based maps, accessible from any web-based device. Drivers and supervisors out in the field have the same view as the manager back in the office. High-resolution maps with detail on demand and smart clustering provide a simple, yet forceful tool to view current status and almost real-time activity of all your vehicles, mobile equipment, and workers no matter where they are. More specifically, Fleetmatics became Verizon on March 6, 2018. That was when Verizon Connect’s launch marked the completed integration of its existing connected vehicle division with two recently acquired mobile workforce and fleet management software companies under a single, unified brand. Verizon Connect is the result of investments in excess of $5 billion and offers customers a one-stop approach to interlinked vehicle software solutions and services that help promote efficiency, safety, and productivity. Verizon Connect features the connectivity and data insights to make it possible for customers to be better-informed about worker and vehicle location, safety, efficiency, productivity and compliance. Verizon Connect users also benefit from the combined experience of thousands of dedicated professionals and decades of fleet management, telematics, and mobile workforce expertise. The software gives me good location info. It is fairly easy to set up and once you use it for a couple of days it becomes pretty easy. Being able to keep up with our employees at all times is very helpful and saves us time. This is the easiest GPS program we have used so far. Easy to use and monitor. Any average construction worker can install and use in order to keep the timeline up to date with truck location information. Notifications directly to phones about any issues. It’s great that we can track our drivers and job sites they are on in real time. Data capturing for reporting purposes and the ability to track how the fleet is functioning overall with analysis of costs and driver habits. This eases my communication efforts with my customers and team. I use it to finish & double check payroll timecards, it cuts out a lot of guesswork. I can tell exact time when truck cuts off at shop for the day. I’m happy to have the ability to find my drivers in real time. I don't worry about theft anymore. I know that if someone steals my vehicle I will be able to locate it in real time. We love how easy the interface is, how flawless the updates are, and how accurate the location feature is. With Reveal, we can accurately track how long one of our service guys is at someone’s house, which helps us out with time allocation and billing. The technology and product work reasonably well. The information is an asset to managing the fleet. The software is relatively intuitive, which is good, because I’m not happy with the customer support. The software can be very productive when tracking and reporting mileage and locations of your fleet. It is great at estimating routed delivery times, and keeping personnel accountable, as the manager can always track where they are. Easy to integrate with our invoice system, pulls orders straight through. Helps improve employee accountability. Very easy to use, and helps me manage throughout the day, adding or taking away stops and jobs is also a breeze. The app sells some great features and promises a lot, if it worked as they said it would be a great app. They also have a real person to talk to as your account rep which is good. We've been using Fleetmatics, now Verizon Reveal, for years. We initially signed up with them because we wanted to keep track of what employees were doing in our company vehicles, but this software is capable of so much more. From tracking our oil changes to sending us alerts when employees are speeding, we use this every day. The customer service is amazing also, and there's a pretty nice referral program. We love this software, and we have cut down on employees’ unapproved use of company vehicles and improved employee driving safety by using it. We used this software for years and at one point it worked well. After a while it stopped tracking vehicles due to hardware malfunctions. However, the website is easy to navigate and become comfortable with. When we first purchased this solution, we were under the impression that it could directly link with T-Sheets payroll system and automatically import drivers' time for payroll. One of the trucks stopped showing anything, but we had it parked for a while and didn't know it till we moved. But they answer quick and send a tech out quick. Maybe a warning saying truck not online anymore would have helped me know about it quicker. Sometimes it will show a vehicle running when I know it is off. This does not happen often and it really doesn't affect how I use the system. The app fails to deliver in most areas. It is buggy, we had to reinstall it multiple times. The user interface is not intuitive and you have to wade through multiple layers to perform simple tasks that should be a point and click. It recently underwent an update, and we did a training for the new system about a year before it was actually released. It was a little bit of a messy transition, but once we downloaded the new apps to our phones and got over the hump of getting everyone back on the same page, it's been amazing. The upgraded graphical user interface and new features are great. The customer support is nonexistent. They have a lot of nice people answering the phone that are very sorry for your troubles...."someone" will get back to you within 24 hours. Unfortunately, when they get back to you they are unable to assist you so they will elevate your issue to the tier 2 rep. The tier 2 rep will then get back with you in 24 hours. It can be a bit cumbersome and slow, especially when it has to re-optimize a route due to the addition of a stop. Customer support is not that great and it was hard to get anyone to help when their hardware failed on multiple vehicles. We are very happy with the easy-to-use dashboards and ability to review your progress towards achieving KPI easily. As we all know, the first step to improving your productivity is being able to take stock of what you have and how it's being used. Better fleet visibility makes it possible to improve asset utilization, allowing you to get more done with fewer resources. Fleet managers across the country are using Verizon electronic logging devices (ELDs) in their trucks. There are many reasons for that. The Federal Motor Carrier Safety Administration (FMCSA) announced in December 2015 that it would be adopting a new rule designed to improve roadway safety. The rule dumped the paper logs that commercial truck and bus drivers used to document adherence to federal regulations on how many hours they are on the road. Drivers now do their reporting on ELDs. Large carriers such as FedEx, UPS, and Werner Enterprises are already using electronic systems to record truckers’ driving time and behaviour. 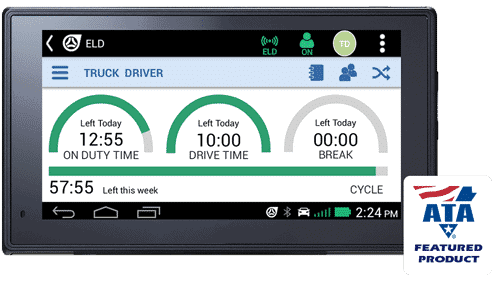 As most trucks are required to have an active electronic log, Verizon is offering ELDs to address the needs of fleets that are going to comply with the FMCSA. In this blog post, we highlight some features and benefits that make Verizon the best ELD provider in the market. Verizon’s ELD is packed with powerful features that simplify fleet management. Identifying these features is a big part of selecting the right ELD to purchase. In this section, we’ll list some of the most common and useful features. Vehicle health: Runs diagnostics on the vehicle and gives alerts when there are issues and maintenance reminders. GPS tracking device: Records location and engine usage information for compliance reporting. Document scanning: Verizon’s ELD features a portable scanner that gives the driver the ability to scan paperwork to the office right from their vehicle. Performance reporting: Monitors driver idle time, detention at customer locations, out-of-route miles, and more. This feature is designed to help make the fleet more efficient. Safety alerts: Sends an automatic notification on speeding, sharp acceleration, hard braking, lane departure, etc. Navigation: Gives the driver a GPS navigation tool designed for truck routing or other appropriate restrictions. Electronic logs: The primary function of an ELD is recording a driver's duty status to help back office staff monitor logs for violations and unlogged time. IFTA: GPS data gathered by ELDs can often be used to generate IFTA fuel tax reports. Two-way messaging: This feature allows the driver and office staff to send messages back and forth through the system. Tire Pressure monitoring: ELDs can be integrated with the tire so you can see the status of your fleet's tires in real time. There are many benefits of using ELDs for fleets. These devices can maximize productivity, streamline operations, reduce operational cost, and increase profits when used appropriately. Verizon's ELD tracks the amount of time each driver spends idling. You can quickly identify drivers that idle long or too frequently using this information. Tracking excessive idling can save you thousands of dollars every month and reduce fuel wastage. ELD devices also provides safety-monitoring tools on lack of driver fatigue, GPS tracking, fault-code monitoring, efficient route management, and timely identification of lousy driving behaviours before they turn into accidents. This device makes sure that drivers are not driving more than they should. With e-logs, other HOS violations such as outdated log violations, Form & Manner violations, and falsification of logs are entirely eradicated. ELDs increase fleet safety. Fleets with ELDs get better insurance premium rates than fleets without ELDs. Besides, the risk of a stolen or hijacked vehicle is far less since the ELD comes with GPS tracking features. Verizon's ELD allows fleet managers to monitor vehicles through GPS tracking. Fleet managers do not need to call the driver each time they want to get an update since they can easily track the vehicle location. Install the ELD in the truck with the engine off. Find the truck diagnostic port. Its position depends on the truck's make and model. It could be found under the dash, above the footrest, in the fuse box, near the handbrake or the clutch pedal handbrake. Connect the cable to the truck diagnostic port. 2.1 If fitting to the 9-pin or 6-pin connector and 2.2 If fitting to the OBDII connector. Line up the collar tabs with the matching slot on the diagnostic port to ensure secure connection (for 6-Pin or 9-Pin connectors only). Your ELD is now correctly installed in your truck. You can mount the ELD module anywhere on top or underneath the dash for easy access while driving with minimal distraction. Turn the ignition on, and the ELD module is ready to connect to your tablet or mobile device. Lunch the app store on your phone or tablet and download REVEAL ELD Logbook App (Verizon only). Click on the app icon to open the app on your phone or tablet. Your Bluetooth will turn on automatically. Allow the app to access the device. Select "REVEAL ELD Logbook" from the list of Bluetooth devices available on your device's Bluetooth Settings menu. When prompted, enter "1234" as the device PIN and hit "Ok". Tap on "Pair and Connect". Once connected, the indicator lights will flash solid red. After a few seconds, the left-side indicator light will turn green, indicating a successful GPS connection. The ELD mandate has generated a lot of questions, with the government continuing to clarify regulations. We've endeavoured to find answers to common questions that arise. Can ELD App be on a smartphone or other wireless device? Yes. 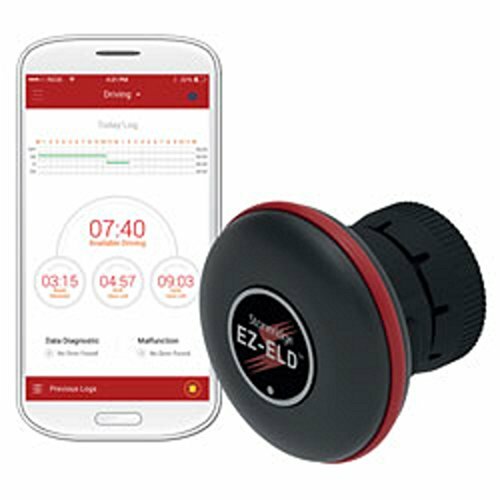 ELD App can be on a smartphone or other wireless device as long as the device meets the ELD rule's technical specifications, which includes being able to access data from ELD module. What data do ELDs automatically recorded? An ELD automatically records the following information at specific intervals: time; date; location information; vehicle miles; engine hours; and identification information for the driver, authenticated user, and motor carrier. How does the ELD discover driving/non-driving status? An ELD automatically switches to driving mode once the vehicle is moving at a speed threshold of 5 mph but once the speed falls to 0 mph and stays at 0 mph for three consecutive seconds, the ELD switches to non-driving mode. How is location data recorded? The ELD must record location data at 60-minute intervals when the vehicle is in motion, and when the driver shuts down the engine; it changes duty status and indicates personal use. Can I edit an ELD record? Yes. Both the authorized staff and the driver can make few edits to an ELD record to add missing information or correct any mistakes, but all edits must include a note to explain the reason for the edit. What type of training will my drivers need? Your driver will be the one utilizing the system, so training them should be the most crucial area of focus. Drivers need to know more than just how to operate the device. The more training the company can give the driver, the easier the roadside inspection process will be. What documents do the drivers need to carry along with them? The driver is required to have an ELD user manual, an instruction sheet for reporting possible ELD malfunctions, an instruction sheet for transferring HOS data, and supply log sheets paper as a backup. ELDs increase efficiency and save drivers precious time because they no longer need to enter data into paper logs. Lowers crash rates and reduce trucks downtime all translates into more money for companies and drivers. 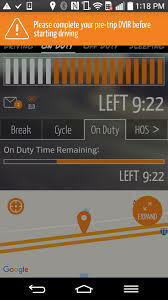 The ELD will accuracy eliminate the need for disputes over hours used between management and drivers. ELDs allows fleets to plan their loads and deliveries better thereby increasing dispatch efficiency. ELD devices sync with GPS systems, giving the fleet manager the ability to track how fast drivers are moving, how long they are behind the wheel, and when they are stopped and waiting. ELDs require large amounts of capital to install. The GPS technology that ELDs use could seem invasive to truck drivers. The new regulation will make it difficult for small firms to afford the new devices. Drivers are opposed to being micromanaged and having their every movement tracked electronically. Fleet managers, professional drivers, dispatchers, and enforcement personnel will all require training to know how to use the new technology. 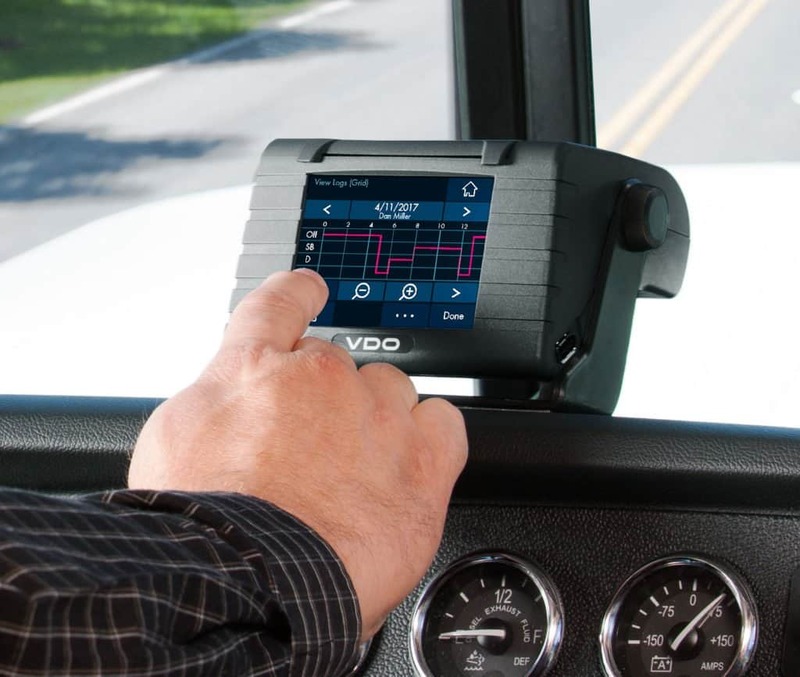 ELDs were primarily introduced for compliance by the FMCSA, but with advanced solutions, they are now much more powerful and serve many different purposes. All the data that ELDs gather has help trucking companies grow at a much faster pace. If you're planning to buy an ELD device for your truck, we hope this guide has helped you find all the necessary information you need. It should be able to provide separate ELD user accounts, one for the administrative and one for the drivers. And it should automatically record the driving time in intervals of 60 minutes. The record should contain: the driver’s identification, time, location, records date, vehicle miles and the engine hours. Its time is synchronized with UTC that is the coordinates of universal time. The driver should be able to get a copy of his/ her records; it could be through an electronic file or printout. It should require a driver’s certification of those driving records after 24 hours. ELD solution should either be able to support telematics data transfer or local data transfer. That is through the web services or email and the use of Bluetooth or USB2.0 respectively. Should not allow tampering of information by erasing or altering it, as the collection of data is for the driver’s ELD records. Ought to be able to retain data of the current 24 hours for the last 7 consecutive days. It requires the driver to review unidentified driver records. The driver can either accept assignment of the driving time, or show that the records do not belong to him. It shows all standardized data that you need, which is able to authorize the safety officials when required. This is done through a printout or a screen display which includes; a graph grid which shows the driving duty status changes, a detail log data and a daily header mainly. In the event that you print the graph grid, it must in the very least be 6 inches by 1.5 inches. The Blue Ink BIT ELD device is one of the very few devices that you can find on the market today to adopt an unconventional pricing model. With the Blue Ink BIT ELD, there are no ongoing monthly fees at all. You simply purchase the Blue Ink BIT ELD for $295 that is it. You won’t have to pay any kind of monthly or annual service fees and charges. There is absolutely no contract that you have to abide to as well. For many independent truck drivers and small fleets, this is a very good electronic logging device to have. 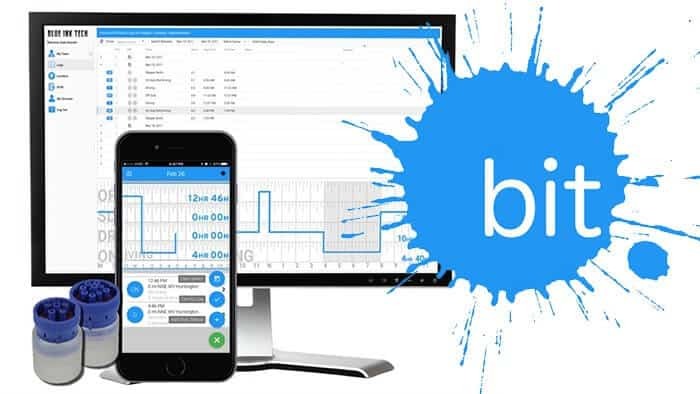 If you are trying to avoid the ongoing monthly service plans that are required by most electronic log vendors, the Blue Ink BIT ELD is definitely going to be the device for you. Yes, the initial price of the ELD is more than some devices that are out there. However with no monthly service fees, your initial investment will save you a lot of money over time. There are a high number of fleets and truck drivers who trust Blue Ink BIT ELD to meet with their trucking compliance needs. The device is affordably priced and very easy to use. The standard 9-pin and 6-pin diagnostic ports are used for the plug-in. 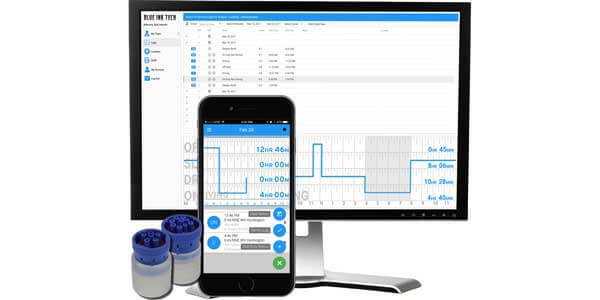 While the affordable price tag makes the device a very interesting choice, the Blue Ink BIT ELD is also a solid pick because of its simple, easy-to-use app and its easy installation process. It is one of the few devices within this price range that gets the job required by DOT mandates done. 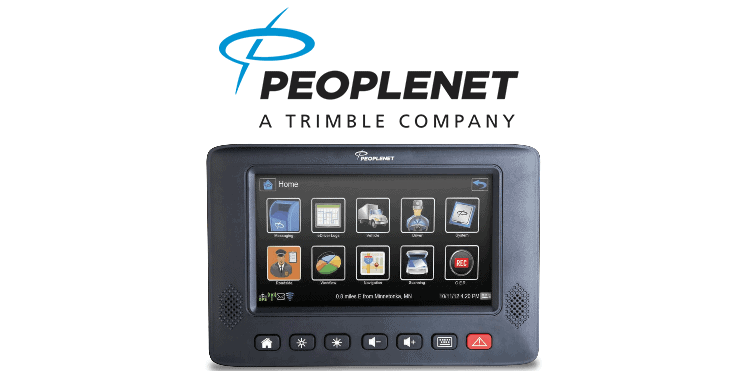 This device is a vital ELD for independent truck drivers and small fleets that want to avoid the ongoing contracts and service plans that are seen from a lot of the ELD vendors in the market today. The Blue Ink BIT ELD is in compliance with the Federal Motor Carrier Safety Administration (FMCSA). In just a matter of minutes, you can plug the device into your over the road truck and activate it to be used right away. The Blue Ink BIT ELD gadget will plug straight into your diagnostics port. 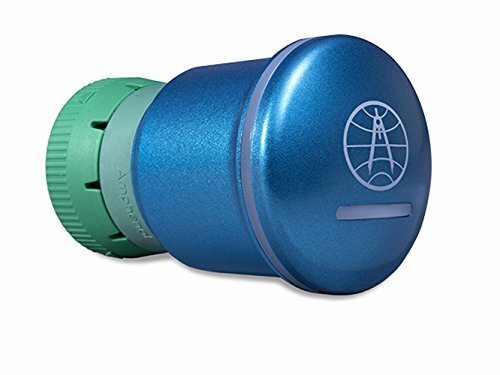 Once the device is plugged in, you can easily pair it up with your smart phone or tablet that you have in the truck. One thing that you are going to like with this ELD is that it is going to offer you all of the basics without the bells and whistles you are going to get with other gadgets. The Blue Ink BIT ELD is very easy for anyone to use (with or without any kind of ELD experience in the past). If you want a basic ELD at a very affordable price, the Blue Ink BIT ELD is the one for you. The ELD is going to automatically record whenever the truck is moving. 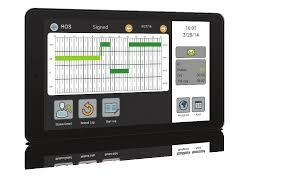 With the use of this electronic logging device, you can make edits to your own hours of service (HOS) log. The device is also going to allow you to accept suggested corrections from fleet managers. With the use of the Blue Ink BIT ELD, you are not going to see any type of monthly service fees. You pay for the device and that is it. There is also no annual fees for the device. You can manage your hours of service (HOS) to ensure compliance with DOT standards without any kind of monthly service fee. The Blue Ink BIT ELD hardware is available for purchase at the price of only $295. The purchase price of the device is very affordable. The ELD is an effective way of compliance. Cost compliance is one of the major troubles for trucking companies, especially those that have smaller fleets to manage. The Blue Ink BIT ELD is a good option because of its cost effective way of compliance. The device is a very affordable tool for trucking companies to use for their ELD mandates. You can then Bluetooth pair the device with your own smart phone or tablet that you have in your truck. If you use the mobile phone option with the Blue Ink BIT ELD, you will need a mobile data plan. While many truck drivers are going to already have their own mobile device, if you are planning on providing a mobile phone or tablet for your fleet drivers, there will be some added extra cost involved for the mobile phone or tablet and a price for the data plan. The free driver app can be downloaded for Android systems or iOS systems -- so no matter what type of mobile device or tablet you have, it is going to work. Signing up for an account is very quick and easy. The app is very simple for anyone to be able to navigate – even if you do not have any type of experience with ELD devices or trucking logs. Your truck drivers can easily make manual log status changes with just the use of the mobile app. If you do want to turn the system into a true ELD, you are going to need the Bluetooth dongle to automatically record when the truck is moving. The mobile app currently supports basic hours of service (HOS) and a built in Driver Vehicle Inspection Report (DVIR). Truck drivers are going to be able to easily make edits to their own logs and accept suggested corrections from their fleet managers. The Blue Ink BIT ELD is going to simplify your work with truck drivers who are to comply with the ELD mandate. Truck drivers can easily record their logs by connecting to their mobile devices. United States Federal Communications Commission: This device complies with Part 15 of the FCC Rules. It also complies with FCC radiation exposure limits set forth for an uncontrolled environment. The ELD must be exclusively utilized in a transportation vehicle. IC – Industry Canada: The device has been approved by Industry Canada to operate with the embedded chip antenna. Other antenna types are strictly prohibited for use with this device. This device complies with Industry Canada's license-exempt RSS standards. Society of Automotive Engineers: Blue Ink Tech is registered with the Society of Automotive Engineers. Bluetooth: Blue Ink Tech’s ELD adapters are Bluetooth qualified. App requirements: The BIT ELD app runs on Android and Apple devices. Your mobile phone or tablet must support Bluetooth 4.0. Your device must be able to communicate over the Internet during a roadside safety inspection. The device is durable and very compact. You can simply plug in the ELD and activate it literally within minutes without the use of any truck mechanic or any kind of special tools. The Blue Ink BIT ELD was developed specifically for commercial over the road truck drivers just like you. The device is a very affordable ELD and is easy for anyone to be able to use (even if you have no other ELD experience). It does not have a lot of the bells and whistles as with other ELD devices, but it is a very economical and trustworthy ELD. The Blue Ink BIT ELD is a user friendly device, that is perfect if you just want to make sure you are in compliance with DOT mandates. The Blue Ink BIT ELD is an attractive option for truck drivers to have in their trucks. The device is very useful for trucking fleets that are looking for a low cost option to have, as well as it being very easy to install and in compliance with ELD mandates. While being easy to use and is very affordable, the Blue Ink BIT ELD is going to get the DOT mandated job done. Overall, the extremely low cost to own the Blue Ink BIT ELD makes it worth a look for anyone, but especially for smaller operations hoping to get compliant without breaking the bank. The ELD is a sensible choice for small fleets that don’t need a lot of features for their over the road truck drivers. The Blue Ink BIT ELD is not loaded with extra features but what it does do, it does well. Logs are easy for both the driver and home office staff to manage. Fleet managers are given one of the best tools for making suggested log corrections. Are you looking for a complete eld system ? If so you have found it because Teletrac Navman is not only an eld device. 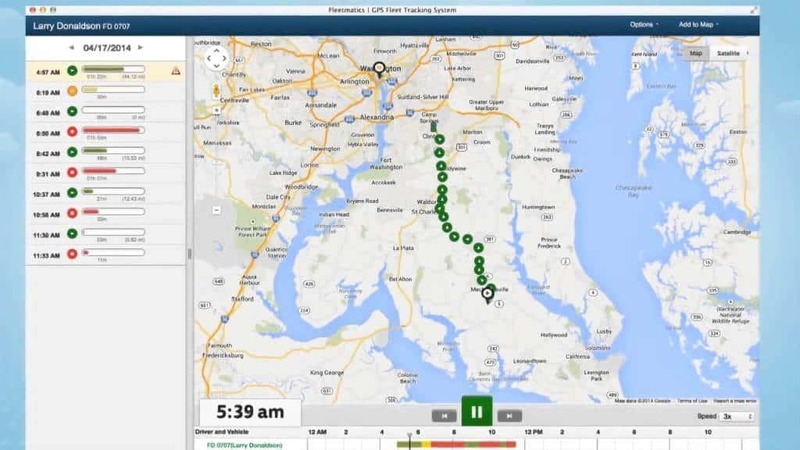 The Teletrac Navman is a fleet management software system that allows company owners, managers, and directors to monitor, track, and review their drivers. The system is the result of the merger between the Teletrac and Navman Wireless companies, meaning that Teletrac Navman brings double the experience and expertise than any other fleet management system. This software is most useful for trucking companies. However, it can successfully manage private fleets, delivery businesses, as well as construction, mining, and civil engineering companies. It gives managers the invaluable resource of checking in on their drivers. Thus, the back office always knows what exactly is going on when they send their fleet out on business. More specifically, the system is able to collect and store fuel efficiency data, do score-carding, and even carry out rudimentary business intelligence. The list of functions goes on with engine diagnostics, and GPS asset location data, all carried out through a single and easy to use web-based platform. Teletrac Navman’s software has received an A+ rating from the Better Business Bureau, proving the product’s supreme quality. As with all technology, there are a few drawbacks to Teletrac Navman, but overall, it is a useful asset that anyone in the trucking, transportation, or construction industry should purchase for their company. This is a centralized fleet management system. Most of the functions of Teletrac Navman are carried out through its DIRECTOR interface, which comes in a variety of levels of ability and price. The first, and least expensive, option is DIRECTOR Essential. While it is the most basic form of the company’s software, it is designed to work in smaller business, such as local and national transportation services providers. The other upgrade options are DIRECTOR Professional and DIRECTOR Enterprise. It is a bit pricier and far more suitable for big, internationally operating fleets. More info about the latter ELD plans is coming shortly. This ELD plan is also especially helpful for those working in the construction industry. In an attempt to tackle the spreading workforce shortage in the sector, more and more construction companies recur to GPS tracking and big data analytics. As many as 85% of the builders in the USA either currently use GPS fleet tracking or plan to do it in the immediate future. Most of the construction bosses use Teletrac Navman’s solutions for equipment tracking, but many also avail of their ELDS to monitor their fleets’ speed and drivers’ HOS. Top safety benefits realized by using GPS tracking include speeding prevention (37%) and improved driver behavior (34%). Moreover, 55 percent have seen their fuel costs falling drastically since implementing telematics, with 21 percent reporting cost cuts by 11 percent or more. Statistical data also reveals that 21 percent of the building companies in the USare applying big data analytics to business operations. Last but not least, 37 percent expect big data analytics to be the technology that will most greatly impact business in the future, over autonomous vehicles and smart cities alike. This plan includes a real time tracking option, which tells fleet managers where their drivers are at all times. It also includes simple data management, which makes it much easier to interpret all of the data that the system is collecting. DIRECTOR Essential also provides a platform for drivers and managers to communicate without risking the safety of the driver. Essential also creates vehicle and trip reports that track vehicle usage and driver time sheets. As its very name suggests, DIRECTOR Professional is a step above Essential, and so it includes all of Essential’s features plus a few additional perks. This interface is designed for larger companies and allows them to create customization alerts that best suit the customer’s needs. The list of features also includes a Dynamic Dashboard, which breaks down the data Teletrac Navman collects into an easy-to-understand format. This is especially useful, if your drivers are not very tech savvy. DIRECTOR Professional is also very important for your fleet’s safety. This is so, because The program takes note and meticulously records all behavioral patterns of your drivers. Thus, the management can easily find out who of the drivers abide by the rule and who need to be reminded that they should do so at all times. Professional also creates an individual scorecard for each driver. But that’s not all, because this plan is also capable of generatings maintenance and fuel efficiency reports. This plan can also record vehicle events, which is very useful for the mechanics that perform the regular truck maintenance. The better a truck is services the farther it will go. This plan can also map streets using Google Street View, and reports even more data than Essential does, such as CO2 emissions. Every driver knows that an increase of these emission is a clear indicator of engine problems. The highest level of Teletrac Navman DIRECTOR is DIRECTOR Enterprise. Enterprise is Teletrac Navman’s most comprehensive system, as it includes all of the company’s available features and functionalities. One of the most noteworthy ones is Advanced Replay, which allows users to watch traffic incidents that the driver is involved in from multiple angles. These video recordings can be particularly useful, if you need to file insurance claims. No fleet manager wants his vehicles to ever be involved in a road accident, but the simple fact is that such accidents happen every day. This plan also offers user permission controls that allow company leadership to restrict certain data to certain viewers. API Support is yet another outstanding feature of Enterprise, which allows companies to integrate the Teletrac Navman system with other business software they own, thus streamlining productivity in the workplace. Last but not least, Enterprise also includes enhanced geo-search. This option helps managers to better analyze their fleet’s driving patterns over the past 24 months and establish the safest, most efficient routes based on real data. Why Choosing Teletract Navman ELD? The major advantage of this software is rooted in the way it monitors your drivers. The monitoring is implemented through a dashboard camera. In addition to providings data to the company leadership, the dashboard camera can also help them to keep drivers on schedule. It can also reduce costs by maximizing route effectiveness, and more easily put employees to work on the road on a daily basis. The camera communicates with the company leadership through their DIRECTOR software. This software is installed on the fleet leader’s computer and allows them to access all of the the available capabilities. DIRECTOR, at any level, gives each fleet owner the ability to manage their vehciles and mobile workforce using one simple platform. Additionally, the software is easy to install and run. The best thing is that Teletrac provides free installation services, if companies would rather have a professional do the initial setup for them. 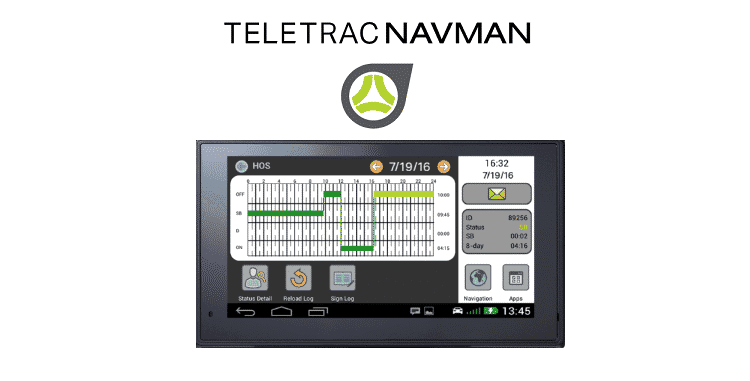 The technology that Teletrac Navman uses is sleek and easy to use. It boasts a one minute refresh time, making sure that company management is updated every minute about the whereabouts and safety of their drivers. The software is also adaptable to the size of the transportation company that it is installed for, making it even more useful to those whose job it is to oversee and control drivers. Please note that the system does require that the company have at least three trucks or vehicles in their fleet, so the smallest hauliers and one-man businesses cannot partner with Teletrac Navman, for the time being at least. The dashboard is also customizable for each business, allowing management to choose exactly what info they want to see on the display and when they want to see it. Essentially, Teletrac Navman is built to make the work of management at any company much easier. It helps managers and fleet leaders clear up their schedules, so as to address some more important aspects of the business. DIRECTOR allows overseers to watch their fleet in real time as they move about town or on the highway. More importantly, it also enables users to monitor weather and traffic reports and adjust the routes of their drivers accordingly. Last but not least, the DIRECTOR interface creates a direct and safe line of communication between managers and drivers, making deliveries happen more quickly and more efficiently. Along with Elogs and GPS tracking servies, Teletrac Navman also offers a variety of workflow solutions. The company’s wide portfolio includes a job dispatch platform, which facilitates easy communication between drivers and management. One of the greatest things about the system is that it enables the company leadership to check for proof of delivery as well as for driver compliance. Needless to say, fleet compliance is one of the biggest advantages of the Teletrac Navman system. Because compliance goes hand-in-hand with safety, Teletrac Navman helps to prevent traffic violations through theier accountability system that the DIRECTOR dashboard automatically launches. The company also provides its clients with a clear real time view of their fleet. This is so, because each vehicle on the display is color coded, allowing management to easily differentiate between drivers and view specific data on each truck. As already mentioned, the system uses the information that it collects to automatically report driver safety issues and creates customized scorecards for each driver. With Teletrac Navman, company leaders can even build their own incentive system. Thus, they will most certainly motivate their drivers to travel more safely. The Teletrac Navman’s ability to monitor drivers for safety and productivity makes businesses that use it far more competitive and profitable. Teletrac Navman also assists in making sure equipment is safe to use. It streamlines the inspection process and makes maintenance needs more obvious to management. The system allows the drivers to report vehicle issues and maintenance requests in real time. This function further streamlines communication between fleet drivers and company management. This feature also eliminates a ton of paperwork, allowing both drivers and company leadership to focus on the more important and profitable aspects of their jobs. For example, if a driver gets into an accident on the road, Teletrac Navman allows leaders to go back and watch the incident as it occurred, which ensures that responsibility is shouldered correctly. Identifying the exact causes of a traffic accident that occurred between one your company’s trucks and another vehicle or vehicles can save you a lot of money, particularly if your driver is not the one at fault. In addition, driver behavior is reported by the system regularly, so even if drivers aren’t involved in traffic incidents, their safe and unsafe driving habits can still be easily noticed and timely addressed. Specifically, the system tracks harsh braking, cornering, and excessive acceleration. It allows DIRECTOR users to visualize trends, strengths, and weaknesses of all of their drivers. Another huge and undisputed advantage of Teletrac Navman is that it actually teaches company drivers to be more tolerant and patient on the road. Along with the dashboard cameras, the system provides in-cab training guides for drivers. These guides encourage their positive driving habits with some useful tips to drive more safely, slow down, or stop on time. Having a system like Teletrac Navman means that all drivers in a fleet will be on the same page in terms of safety regulations. Thiss ensures that every customer receives the same, safe transportation service. Teletrac Navman also has many direct numerical benefits to company management. It has been proven to increase revenue and reduce costs, mainly due to its ability to route drivers more efficiently. The choice of the most appropriate route is always based on the current traffic and weather conditions. In addition, the system can calculate fuel efficiency and give tips on how to further maximize it. Teletrac Navman also has the ability to directly contact customers regarding their deliveries. It provides real-time updates on whether they will be early, on time, or late. This useful function drastically increases customer satisfaction. While Teletrac Navman can be highly beneficial to any company in the trucking or construction industries, some consumers have reported certail issues with their system. The biggest concern that most users have with Teletrac Navman is their customer service. The company seems to be overwhelmed with the number of customers they have, and so they are not able to adequately respond to customer service inquiries most of the time. For instance, one reviewer reports that they have experienced multiple technical issues with their device. The more concerning fact is that when this user called the company for help, the tech support seemed to have misunderstood the problem and were thus unable to fix it, even after multiple calls. What made this situation worse was that the system was under full warranty at the time, so the issue should have been fixed right away. Surprisingly, even after multiple failed attempts to help the customer, Teletrac Navman would not release them from responsibility under their service contract. 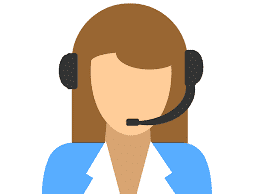 In terms of customer service, most users have reported that once they have entered into a three-year contract with the company, they have not been able to get adequate help or response to none of their customer service inquiries. Customers complain about going around and around with their account managers for months, trying to fix a technical issue. Other users have reported some technical issues as well. For instance, one user successfully used the program with five units for several months, and so decided to add two more units to his fleet. However, these two new units would simply not connect to the system that was already in use. Even after multiple customer service calls, this issue is still not resolved. Multiple Teletrac Navman customers have reported issues with adding new units to their system, so it seems that the best way to avoid this issue is to make sure you are ordering all of the units you anticipate needing at once. Other users have reported that the GPS tracking of their devices, which is essential to their functionality, has deteriorated over time. This is surprising for a provider, who boasts GPS tracking as one of their top services. Sudden GPS failures cause drivers to have to take their eyes off the road at nearly every stoplight in order to deal with the navigation flaws of the system and adjust their route. They have also reported that their drivers are often warned against speeding by the software when they have not actually been speeding, which is frustrating for both drivers and management. Other customers have also complained about the company's use of automatic renewal, which makes it much more difficult to cancel the service. Customers also complain that once they are under contract with Teletrac Navman, the company becomes much less responsive. Even after some customers have cancelled the service, they have still been billed until they actually blocked the company from their credit card. While Teletrac Navman users have reported a variety of customer service issues, these seem to be due to the growing pains of the Teletrac Navman merger. There is certainly light at the end of the tunnel, as more and more issues are being resolved with growing speed every day as the company gains its footing. Despite the flaws mentioned above, the system has received rave reviews from almost all expert reviewing sites. You can read tons of positive reviews about the company on expertmarket.com, financesonline.com, and even the Better Business Bureau! These numerous positive expert opinions prove that the Teletrac Navman system has great potential to revolutionize the fleet management industry, once all of the customer service issues are ironed out. Overall, Teletrac Navman is the preferred choice of companies looking for a fleet management solution that allows them to track drivers for productivity and safety. With it, they can also communicate with them effectively, and streamline the whole delivery and transportation process. To sum up, Teletrac Navman provides an excellent software solution that will only continue to get better as time passes and their technology improves.